This is another fun condominium project from Grand Dunes! I had so much fun working with this client, who is a local realtor, and who has such fine taste! We loved pushing the envelope, by combining so many opposing finishes, such as gold and silver, warm and cool, colors and neutrals, sparkle and texture, modern and traditional, rich decadence and bohemian charm. 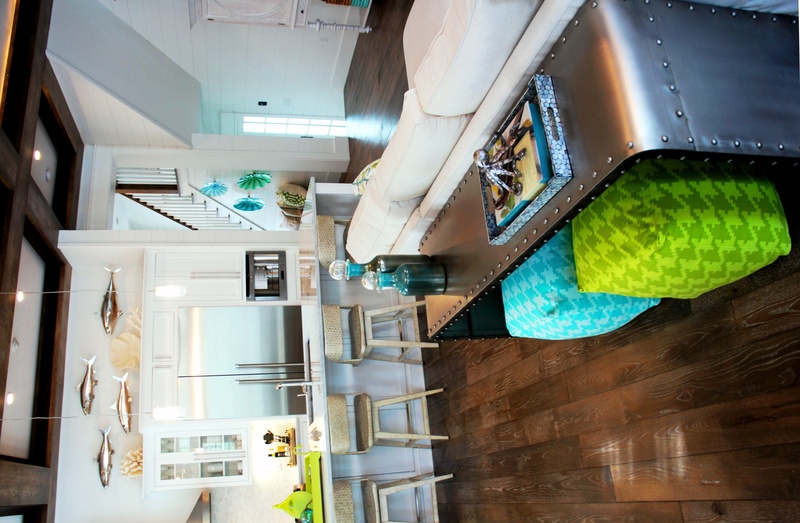 The most striking theme throughout, however, would be the use of TEXTURE! Combining textures is such a wonderful way to create warmth and welcome. In the Entry, we combined mica wall covering, gold, marble, antique mirror and neutral art to help balance all the texture. Kitchen: New counters, new paint, and some twinkling silver seafan pendants help to brighten the kitchen. 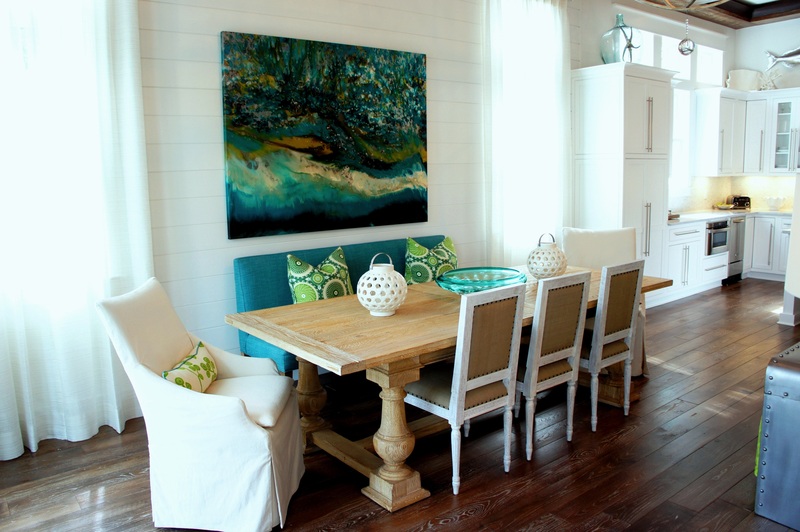 Dining Room: Let me make my heart calm down first… This room turned out so dreamy! We started with a shimmering grasscloth wallcovering, which added the warmth and intimacy we wanted. Next, we installed a drop-dead gorgeous leaf block paper to the ceiling. This gold just glows and reflects all the lights, and balances all the gray! The furniture was next, then the smoke gray crystal pendant chandelier. We decided that some silver driftwood sconces would add some element of nature, and a large gold mirror would balance its rusticity. The clients added artwork from their own personal collection, and viola! I feel that magic was created in the room! 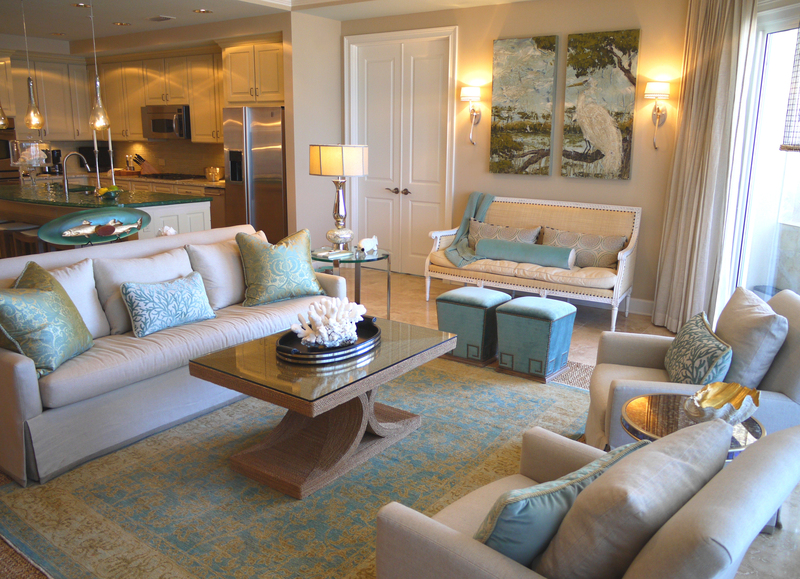 Living Room: This room is very chic, with its clean-lined sectional with bench cushions, and fur accent chairs! 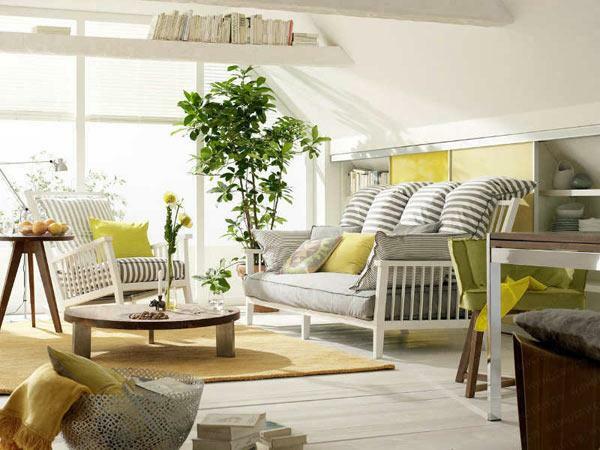 Pillows are always a prime opportunity to bring color into a room, in an easy, non-committal way. Two-sided pillows are always fun! 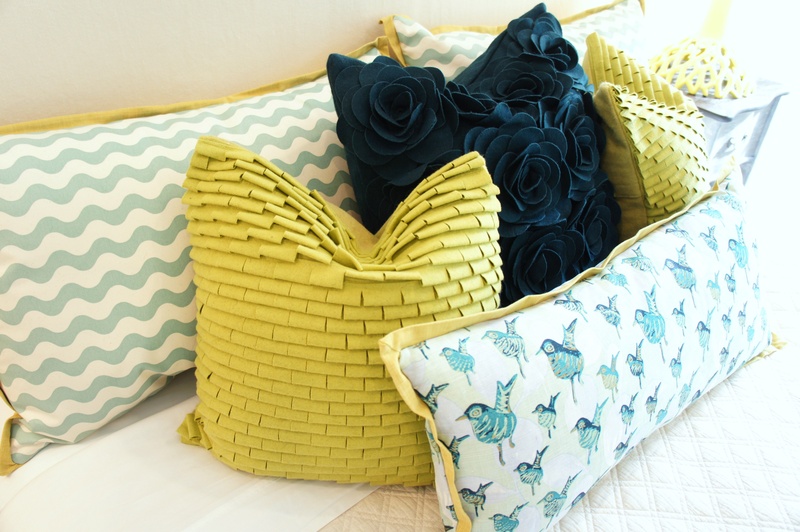 You can change your pillows from a seafan print to solid quiet teal, just by flipping them around! 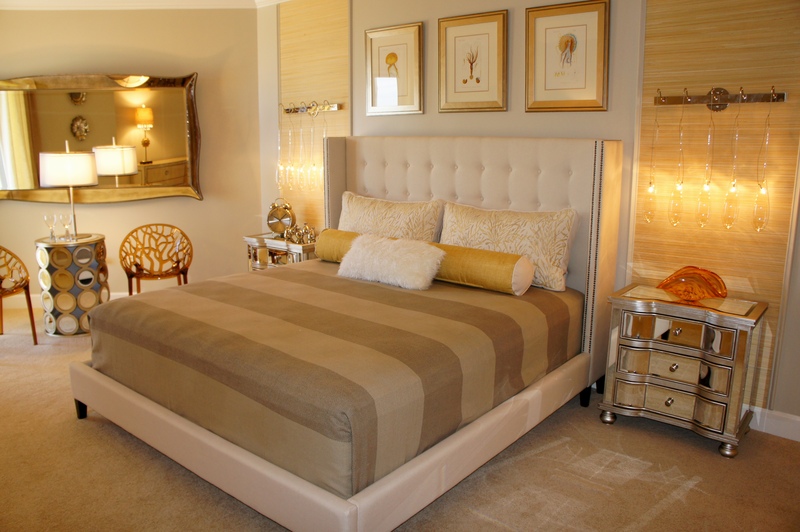 First Bedroom: Talk about texture! This room has it all: grasscloth walls, a chenille bed in a rich teal color that shows light and dark, lambswool pillows, velvet and silver sparkle! 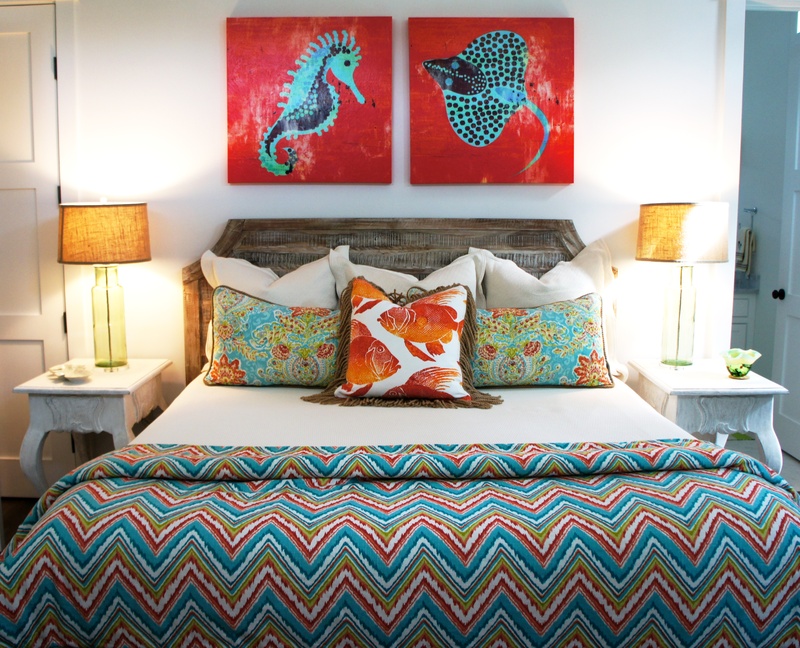 Master Bedroom: We indulged in coral and aqua in the Master Bedroom, for a rich culmination of color and texture! 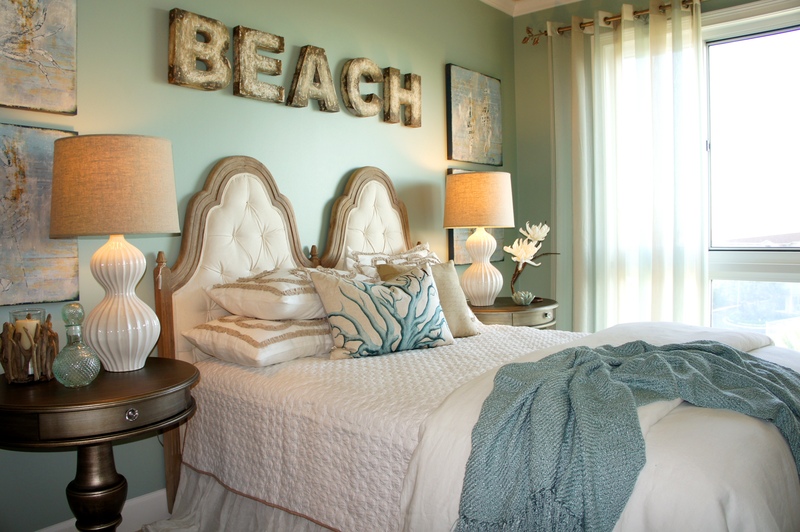 Second Bedroom: This room can be described as refreshing, with its cool mint and emerald green! 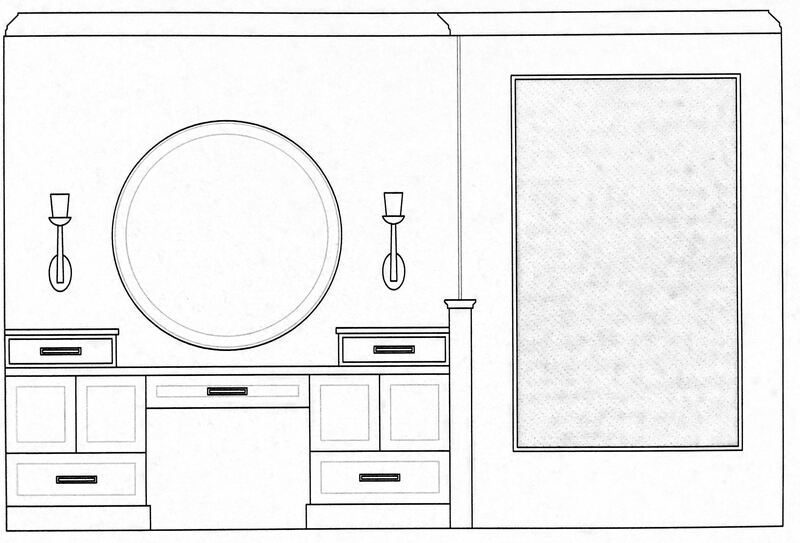 …and here is one last adorable bedroom! I hope you enjoyed! Please email me if you want to have fun combining ideas, creating, and building something beautiful! 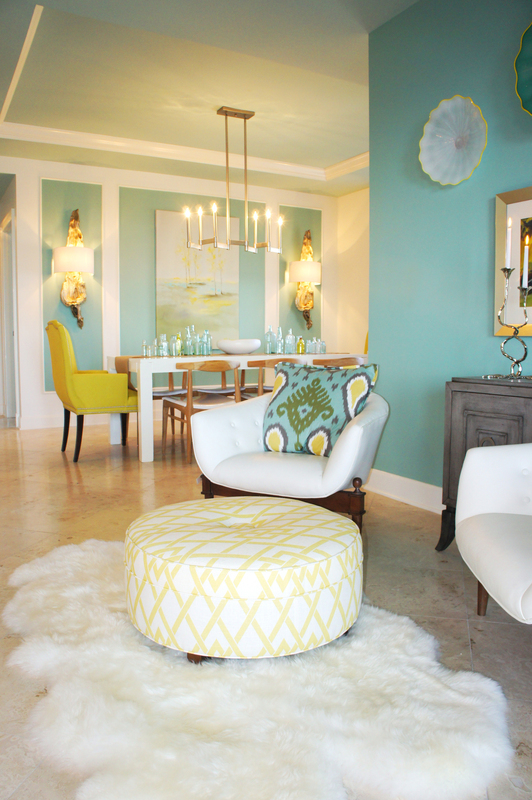 This is a precious design I put together several years ago, for clients that love color. 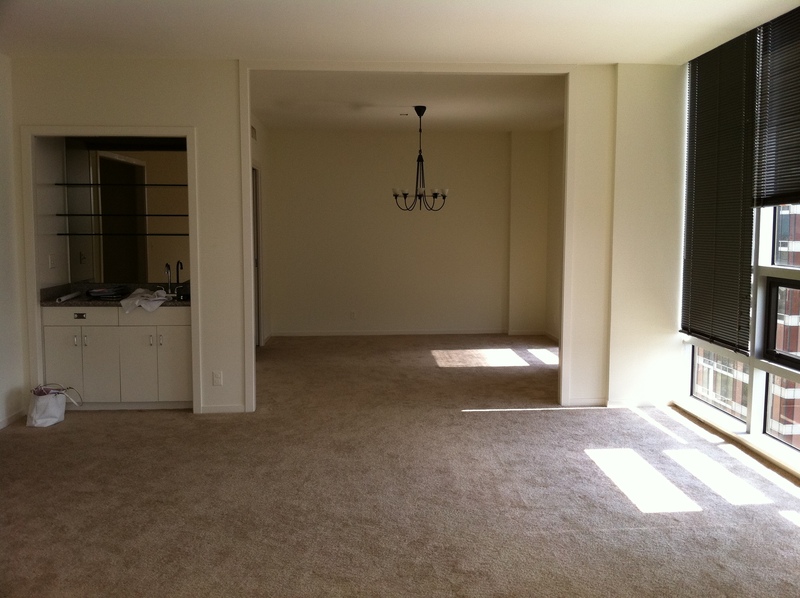 This condo unit had all the basic builder finishes and fixtures, and all neutral colors. We needed to add some interest, color and wow factor! We replaced all the countertops with lighter quartzite, painted the cabinets and walls, added all new light fixtures and some new plumbing fixtures, and accented rooms with interesting wallpapers. In this rare occasion, the clients specifically asked for a different color scheme for each room, to create different experiences for people who stay there! 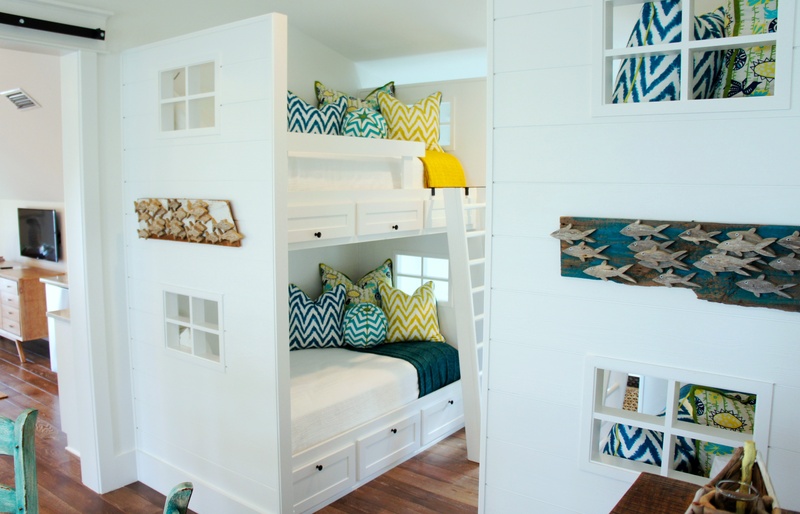 We have a nautical room, a butterfly room, a coral room, and a completely adorable bunk room, created for young boys. Enjoy! 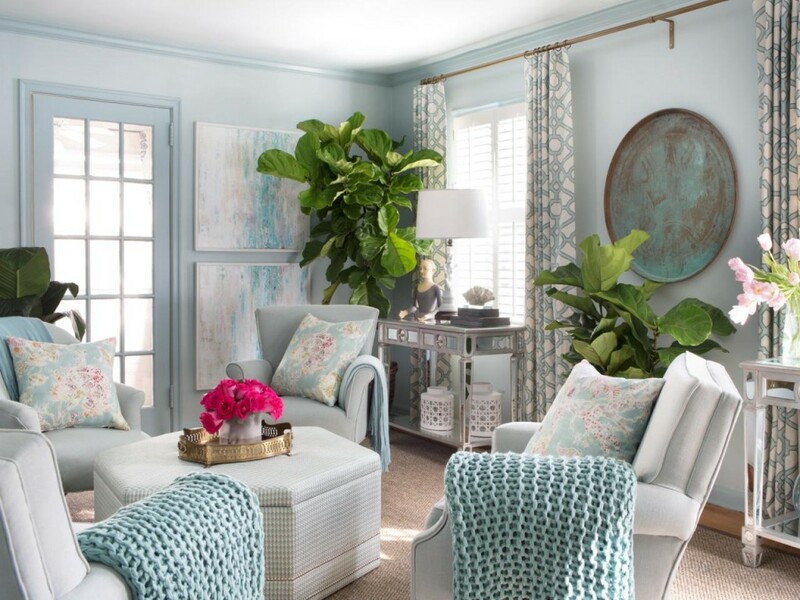 We opted for a lively explosion of turquoise ombre wallpaper, with silver leaf foliage in the Entry. We felt this provided a happy “reset” for anyone entering the unit, and sets the tone for the rest of the home! Our Nautical room! I mean, how adorable is this roman shade, with its chevron print and button trim? Second Bedroom: This butterfly room is a mix of orange, and soft greens. 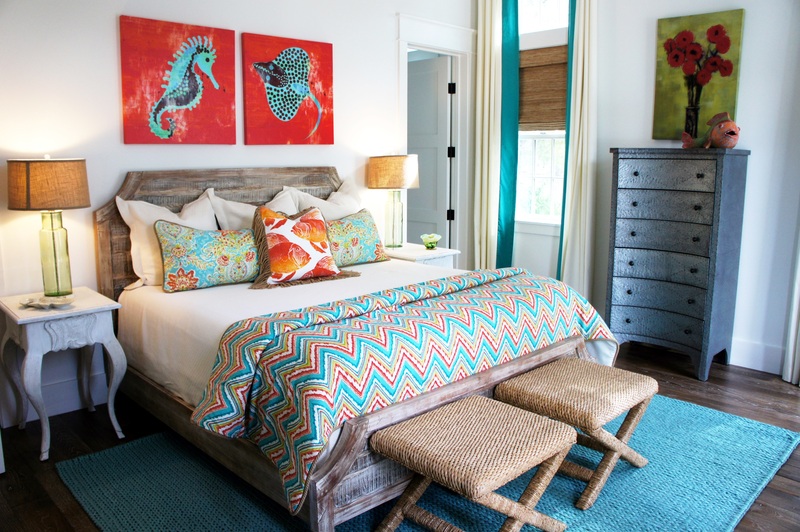 Master Bedroom: This coral room has the perfect coastal flair with pops of aqua blue. I couldn’t resist the rhyme! This is a project I finished two years ago. I never claimed to be a punctual poster, but better late than never, right? This home had some beautiful features, but they were overshadowed by darkness. That’s all–just a lack of light! 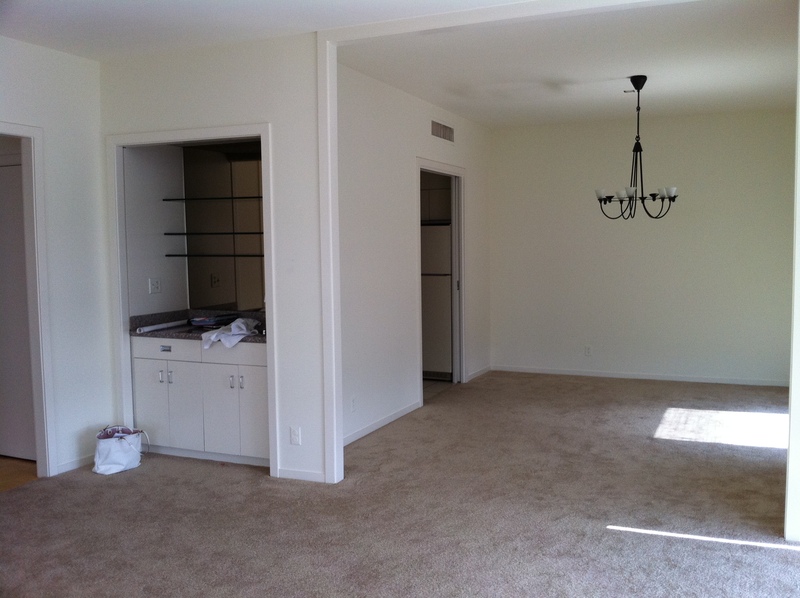 My job was to furnish this beautiful home, and add a little brightness and contrast! 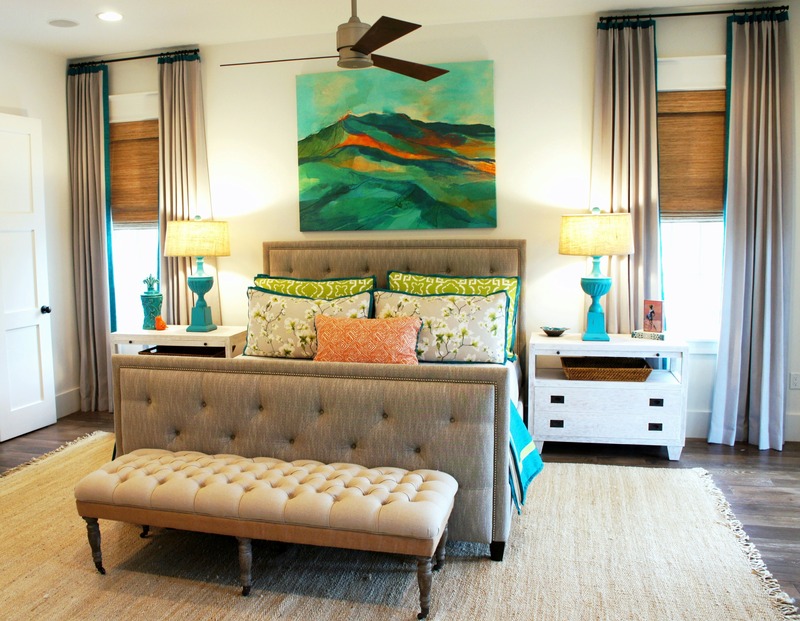 This may be my favorite Master Bedroom design, to date! I wish this were MY room! 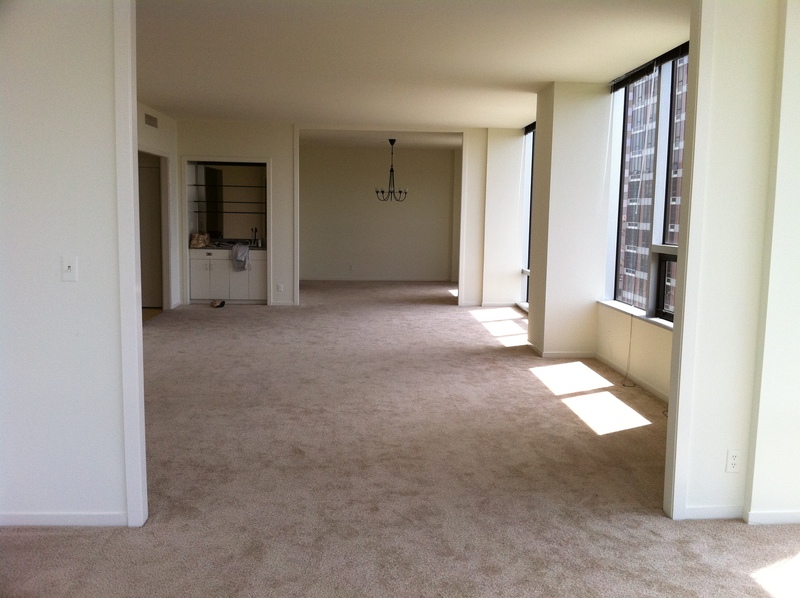 We replaced the patterned carpet with hand-scraped wide plank wood. I chose the most beautiful creamy paint color for the walls to brighten things up! 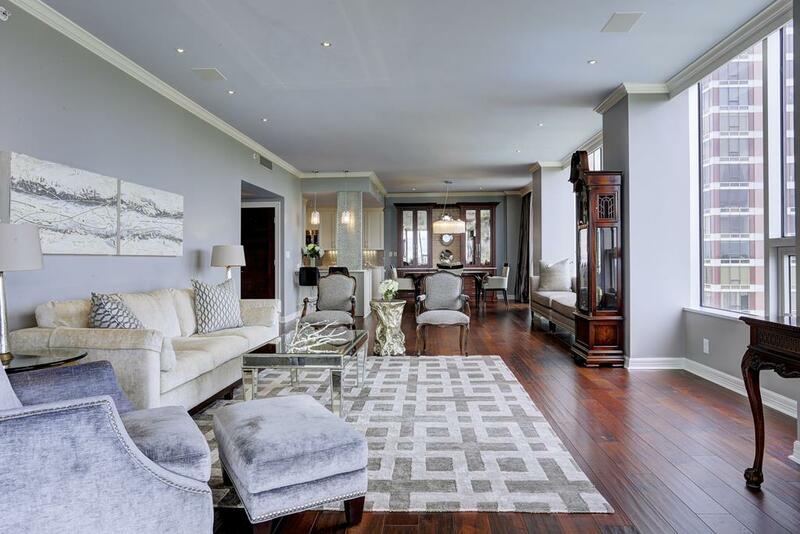 All of the walls had a faux plaster finish in a goldish tan undertone–I wanted to KEEP the texture, but amp up the lightness so that the wood floors and other wood pieces would have some contrast! So, the paint has a pearlescent finish that’s very subtle, but emphasizes the texture, and is so much richer than flat or satin. Chalk painted nightstands help to lighten and balance the dark, carved wood king bed. 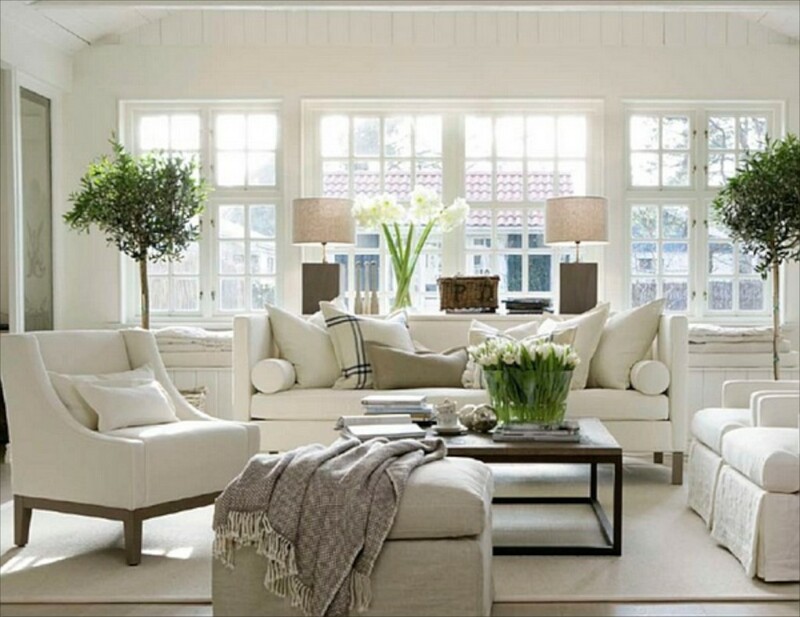 Crisp cream drapes brighten the dark shutters, and light, crisp, fluffy bedding screams “get in!”. 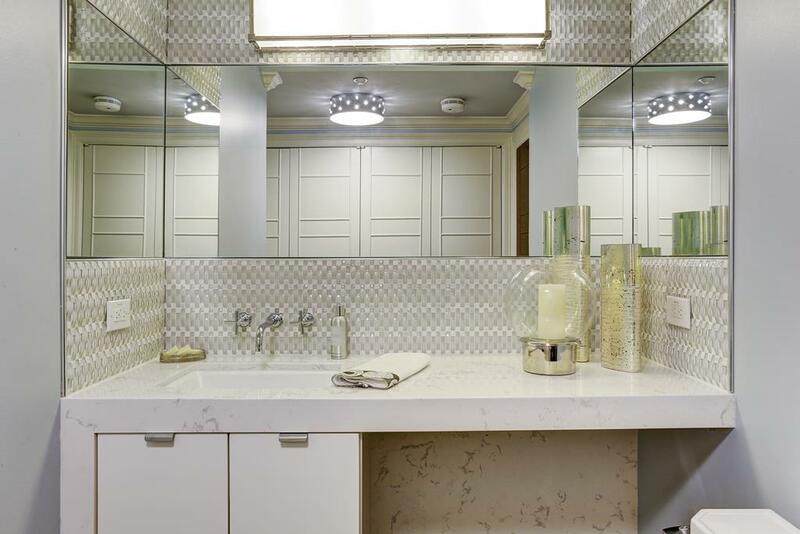 The large mirror helps to reflect light back into the room, but is also a jewelry cabinet! A girl’s dream! In addition to painting the walls for crispness, we added cream window treatments, and an assortment of creamy painted and upholstered furniture. One gorgeous faded Oushak rug anchors the seating arrangement, and a custom-built entertainment cabinet tames the cables and wires from before. I spent a lot of time holding cream paint chips up to the stone in every room. I wanted the color to blend well with all the stone, but not go gold or yellow. I am so happy with the final result! I love how the brick seems so textured in contrast. I wanted to find something dark, but open and rich to sit behind our light linen sofa! I love the way the scrolled ironwork stands out! I had a vision for the entertainment console, but couldn’t seem to find anything long enough to anchor this ginormous framed television! 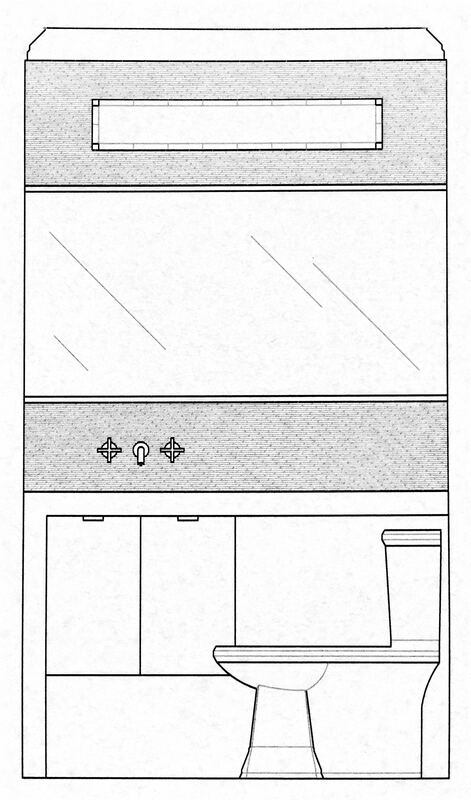 I commissioned Armored Frog to build me this beautiful cabinet, and then paint it a beautiful, crusty antique white. Here’s the new cabinet in Armored Frog’s Studio, before delivery! In the boy’s room, we brightened the walls, added some color to the ceiling, and finished the windows off with some soft drapes. Don’t judge my photo-taking skills! This room was hard to photograph! In the second guest bedroom, we painted the walls a slightly less reddish camel color than the pumpkin color that was there before. This made the room a tad lighter, but provided a rich backdrop for my white painted headboard. 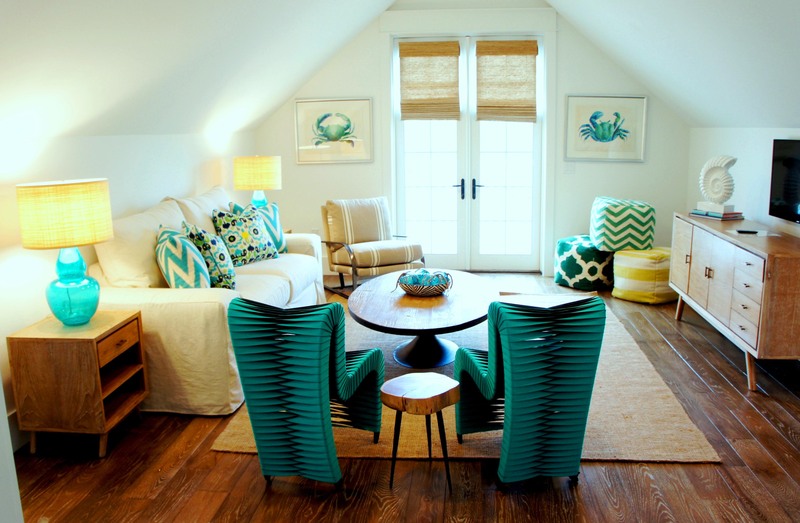 Next, we have a cute little attic room! We turned this room into a small media viewing area, with a daybed and some built-in cabinet storage. Lastly, I can’t talk about this project, without giving kudos to my amazing painter, who hand painted each square behind the ceiling lattice in the kitchen! I actually felt bad asking them to do this, but they executed it flawlessly! 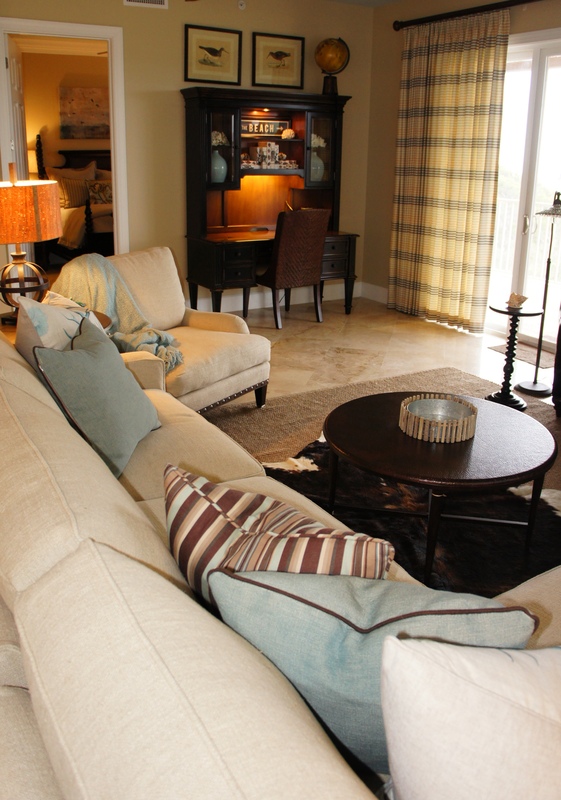 Contact me if you need help furnishing your home! 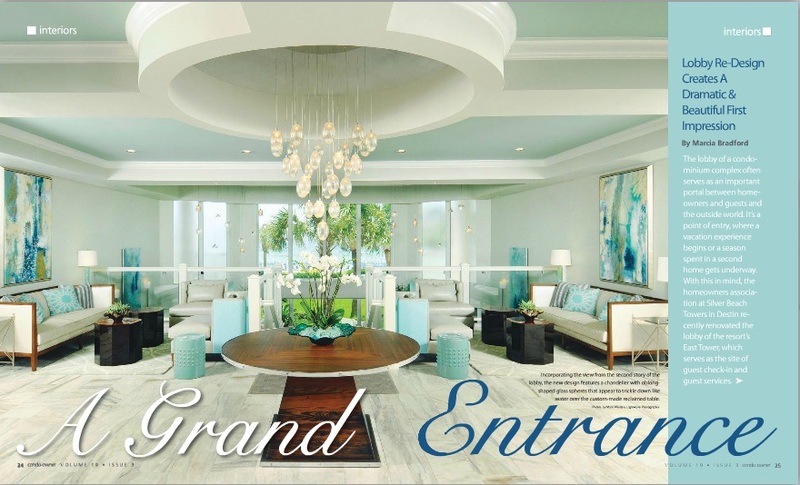 I was chosen to create a vision for both the East and West lobbies of Silver Beach Towers, a little over a year ago. This was a pretty big undertaking, not only for the sheer scale, but also for the fact that my ideas were under scrutiny of an entire homeowners association, as opposed to a couple of homeowners. Luckily, they loved my ideas, and decided to hire me! Keep things CLEAN and STREAMLINED. My first step taken in “operation lighten-things-up” was changing all the paint colors! I wanted to neutralize all the gold tones, so I chose a pale warm gray for the walls, a new fresh white on the trim, and a soft blue on the ceilings that helps add depth, and also emphasizes the architecture of the ceiling. I removed all the black iron railings, painted the newel posts and rails white, and added suspended glass panels, for an unobstructed view of the ocean when you walk in the lobby doors. I replaced all the dark carpet in one lobby, and all the gold tile in another lobby, with this beautiful, soft gray porcelain tile. Finally, I updated the furnishings, added some “wow” factor lighting, hung some large-scale colorful art, and brought in some live plants. Being the first thing you see when you walk in, I wanted our center table and chandelier to really make a statement! First, I added a silver leaf faux finish to the dome ceiling, so that the lighting would twinkle and glow. Next, I chose an ethereal trickling glass globe chandelier. Each globe has tiny crystals in the bottom, so that they catch light, and resemble trickling rain drops. I drew up a design for this center table, and commissioned Armored Frog to build it. Made out of reclaimed wood, with a mitered inlay top and a chrome banding on the top and bottom, this table took my breath away when I saw the finished product! I couldn’t be more proud! It’s not every day I get to design a piece of furniture and see it come to life! I feel like a proud Mama! I covered all the upholstery in soft, buttery vinyl that looks like leather (easily wiped clean!). The backs of the slipper chairs are upholstered in a blue 100% solution-dyed acrylic fabric, that is resistant to stains and sun-fading. 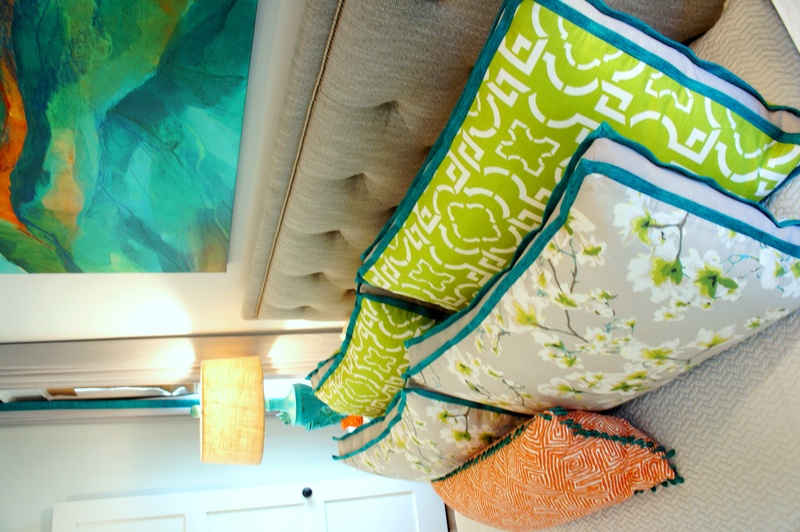 The pillows are also covered in solution-dyed acrylic Sunbrella fabrics. 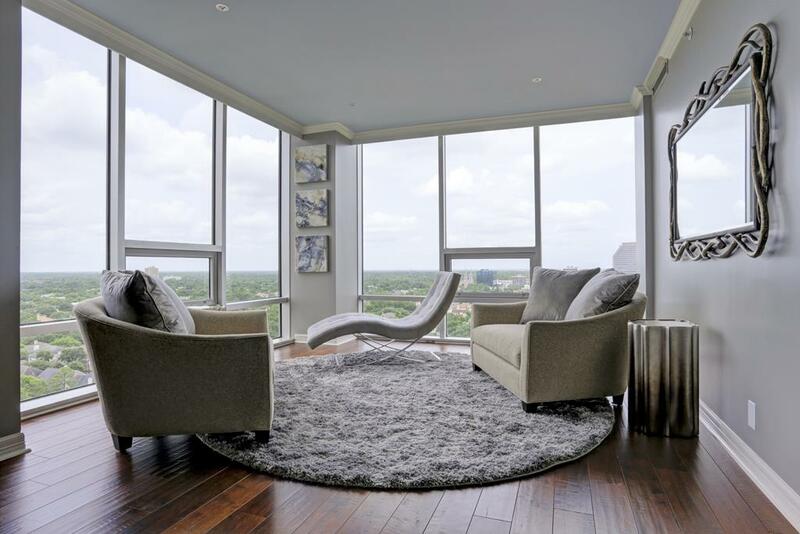 Although practicality and function were a main concern, I think these new furnishings added some much-needed warmth, sophistication and welcome! This new entry console is a thing of beauty! Above it is a textured giclee art that packs a colorful punch, and some simple, elegant accessories. I commissioned local artist, Mary Hong, to paint these 8′ tall acrylic and glass abstract panels! (In above picture, to the left). You can see a hint of the track-and-pendant system I installed in the part of the lobby that overlooks the pool level. I used a bendable track, and hung crystal pendants at varying heights, for a trickling effect. This design took advantage of this prime, empty real estate! It drew the eye towards the beach view, and added some much-needed visual interest to this area. Want to see some more photos from the installation process? Read on! Before my track pendants were hung, I cut out circles from magazine pages, and had my installer tape them to the wires, so that I could stand back, and artfully judge the height and placement of each pendant! For about a day, we left people pretty curious about what in the world we were doing! I don’t envy Jeff’s role, here! That’s my son, Case, pitching in! He is fascinated with anything that has wheels on it, so he was more than happy to help push this gigantic contraption around! That’s my friend, Dawn, to the right! Again, he is sooooooo helpful! ha! Setting “mamma’s” prized creation in place. Be careful with that prized piece of craftsmanship!!! I still get heart palpitations when I look at this. Thank you, Armored Frog! Pat Heroman and his wife personally made sure all the plants were freshly fluffed for our photo shoot! Pat’s company, Heroman Services, is the leading Interior Landscaping firm along the Gulf Coast and is ranked as a Top 25 Company nationwide. He was amazing to work with! I told him my design concept for the lobbies, we talked about placement of plants, and style, and he ran it with it! 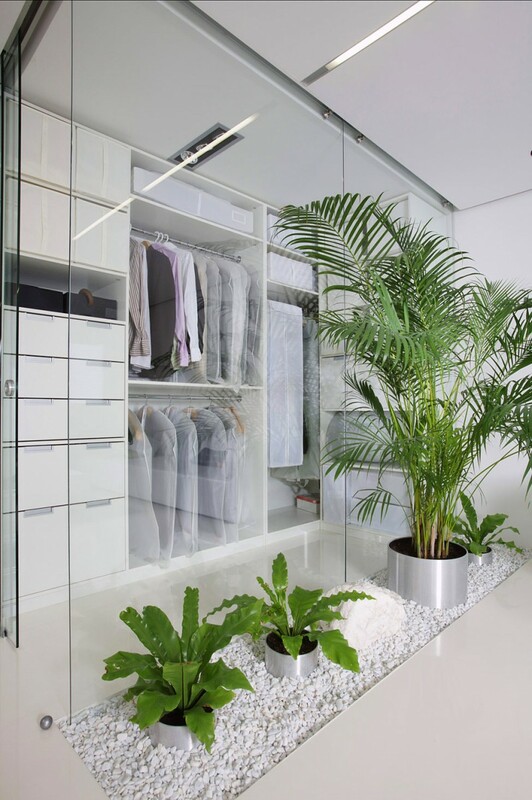 He provided photos of our spaces, with images of his proposed plants and containers photoshopped into the room! Click here if you want to read a blog I wrote about biofilia, and the importance of living, green plants and flowers in interior spaces. This is Mark Worden, with Lightwave photography, the photographer who took all the amazing shots of the lobbies for Condo Owner magazine. 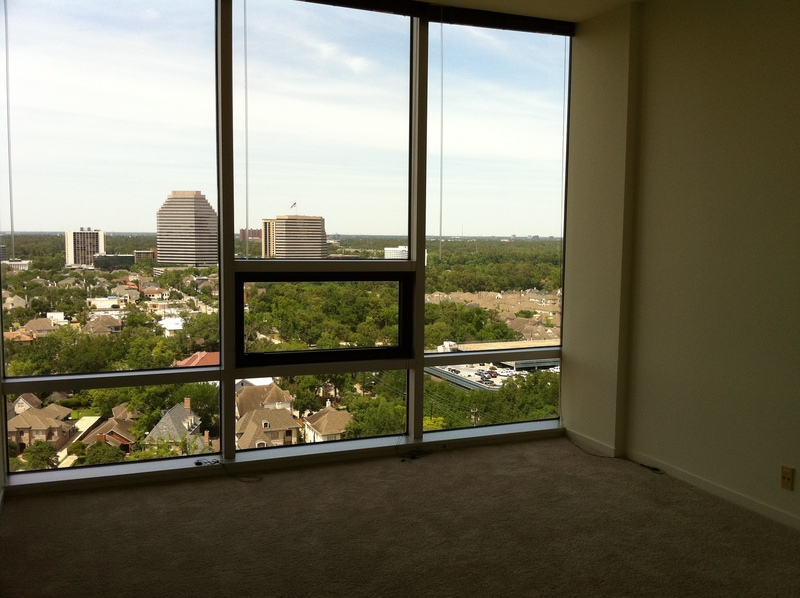 Mark and I worked together before, in a photo shoot for Condo Owner magazine! 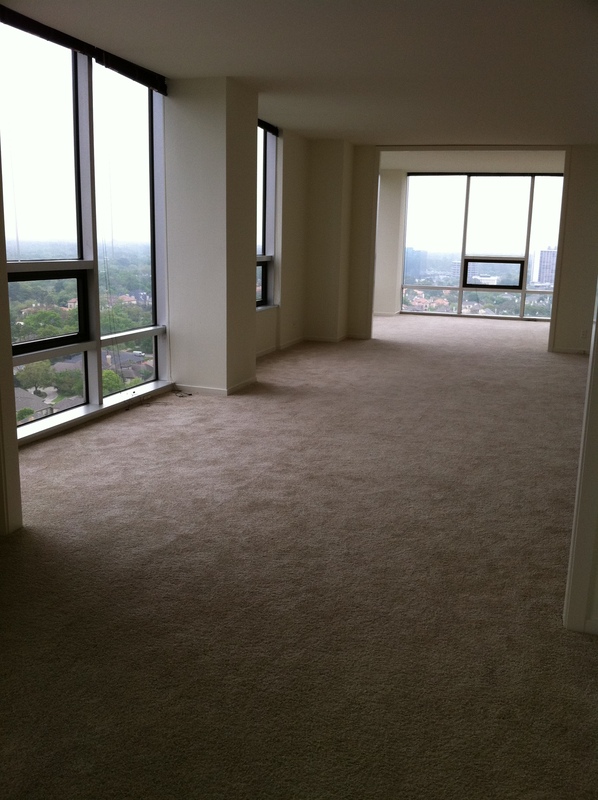 Click here to see this project! 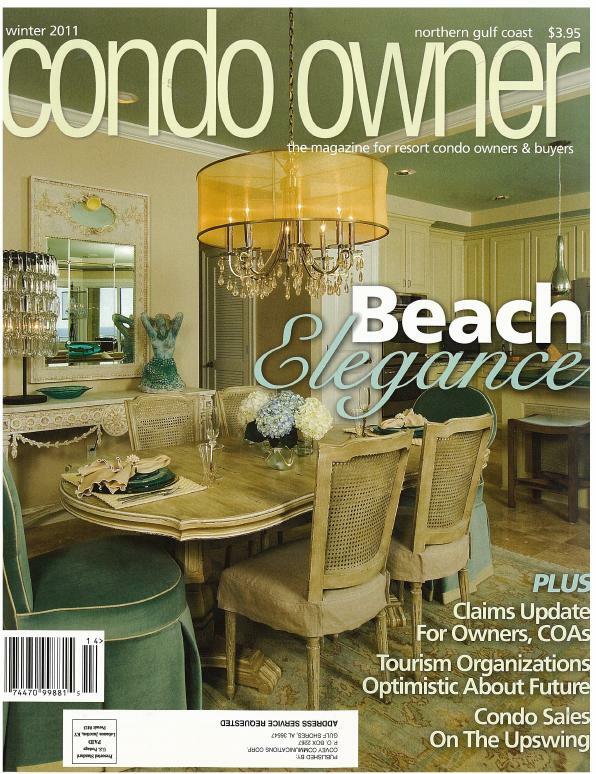 If you want to see his amazing photos, click here to see that issue of Condo Owner magazine. Here, you can see a close-up of the Entry chandelier glass globes, and the little crystal beads that live within each one! Contact me if you need help coming up with a vision and plan for your home or lobby! 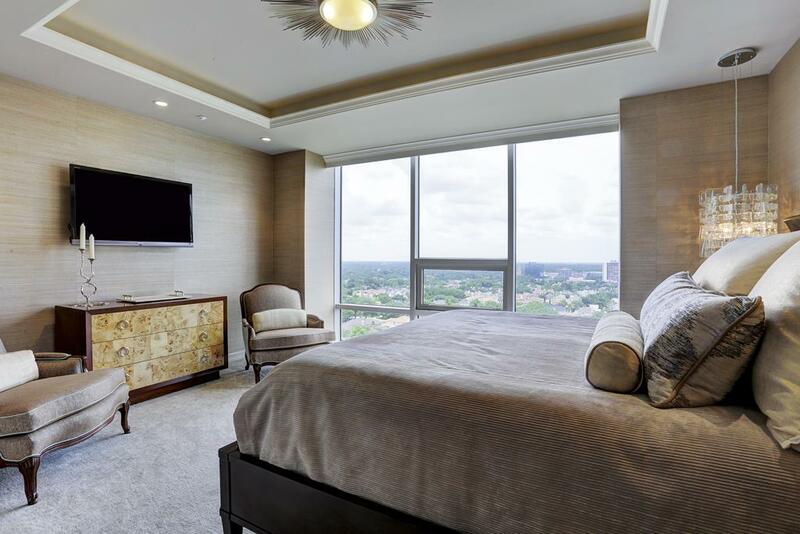 This high-rise condo in Houston, Texas was stuck in the 80’s, with its plethora of hallways, closed-off spaces, laminate cabinets and colored toilets. My clients know good bones when they see them, however! We enjoyed working together on their Panama City Beach remodel so much, that they called on me to help them visualize the potential in this gem! We knew we wanted a transitional look that would marry their traditional accent pieces with their contemporary affinity. 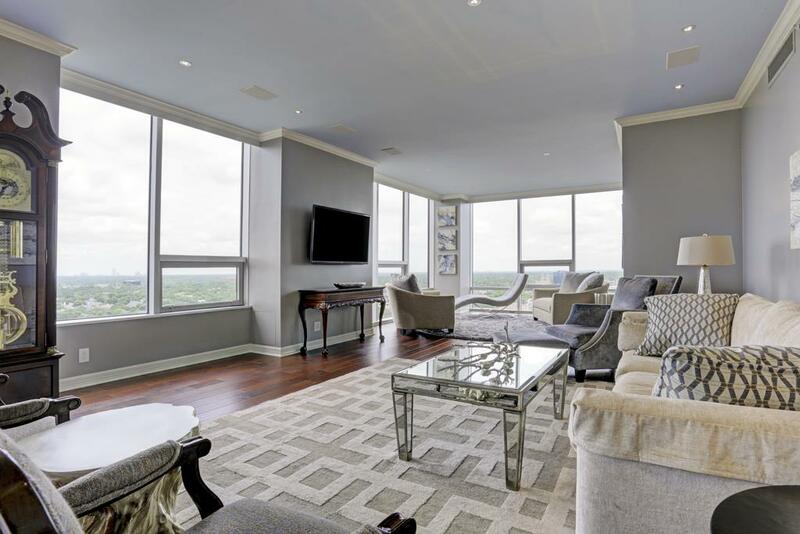 We began by reworking the footprint of the condo, and doing everything we could to maximize the openness and function of every space. Then we focused on lighting, making sure we had ample recessed l.e.d. lights, mixed with accent lighting and correct electrical outlet placements. 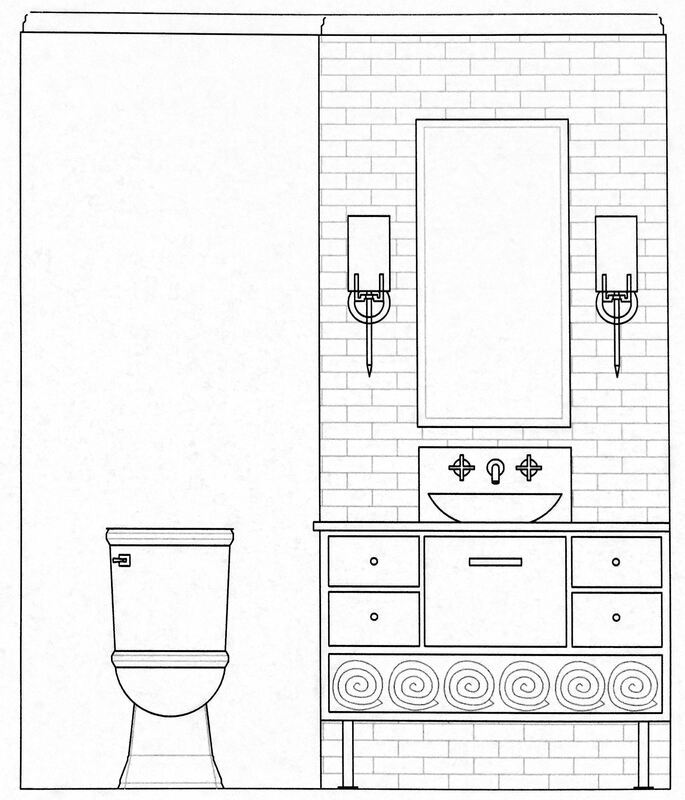 Next, I started drawing/designing all the bathrooms! 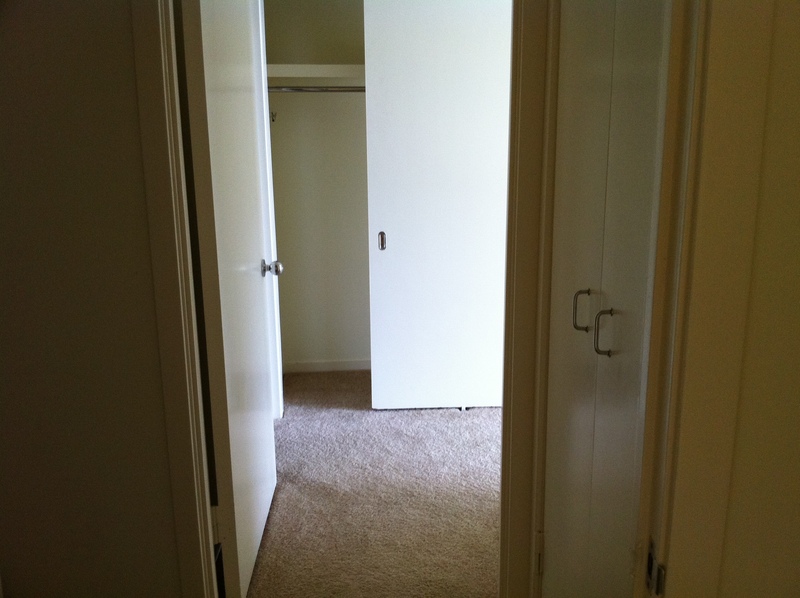 The first thing we decided to do is open up the doorway leading to the rear entrance. This allowed us to extend the kitchen some, and brighten things up a bit. 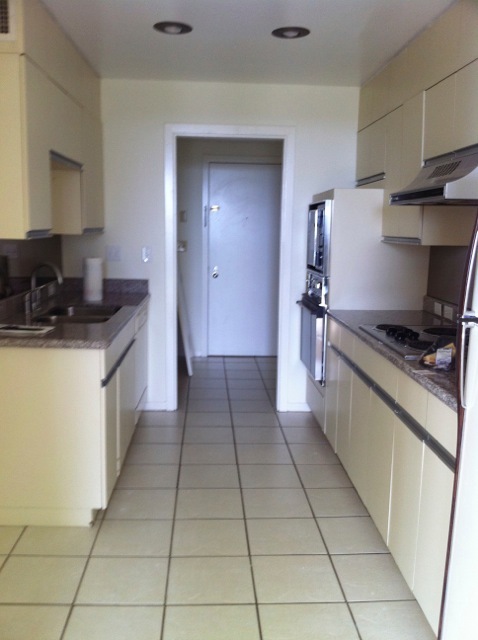 We also opened the walls that separated the kitchen from the living and dining areas. We replaced the living room wall/wet bar with an open counter-height bar, and accent lighting. 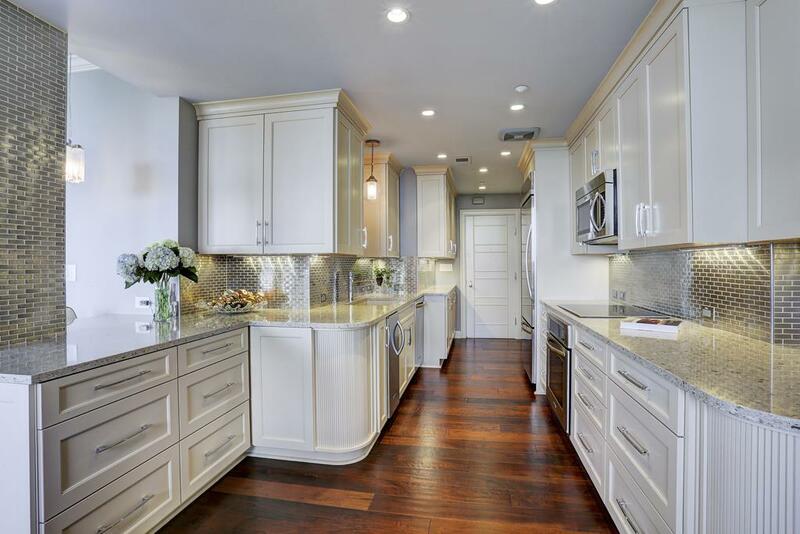 I chose almost-white cabinets for a bright contrast against the cherry wood floors. 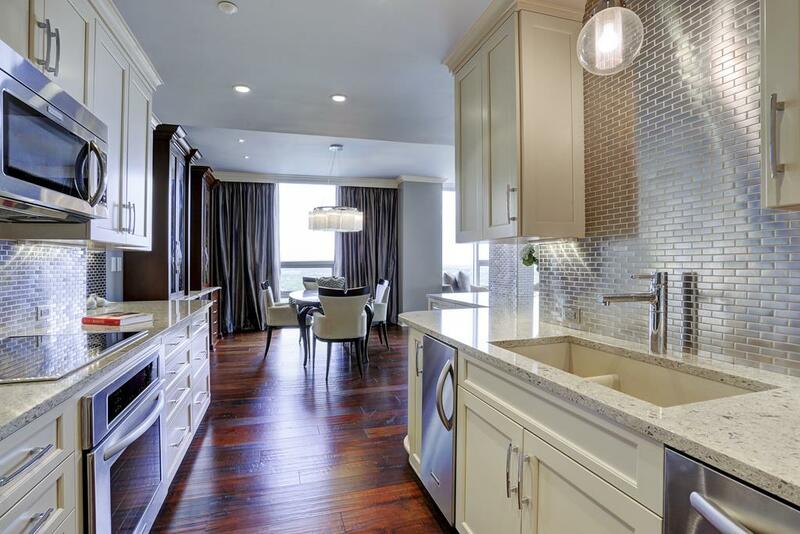 The shining star, in my opinion, is the stainless steel backsplash tile! This took a little convincing, but was well worth it! It reflects light, adds texture, and creates the illusion of depth, much like a mirror would. We wrapped the structural column on the bar with stainless steel so that the column looks integrated and weightless. 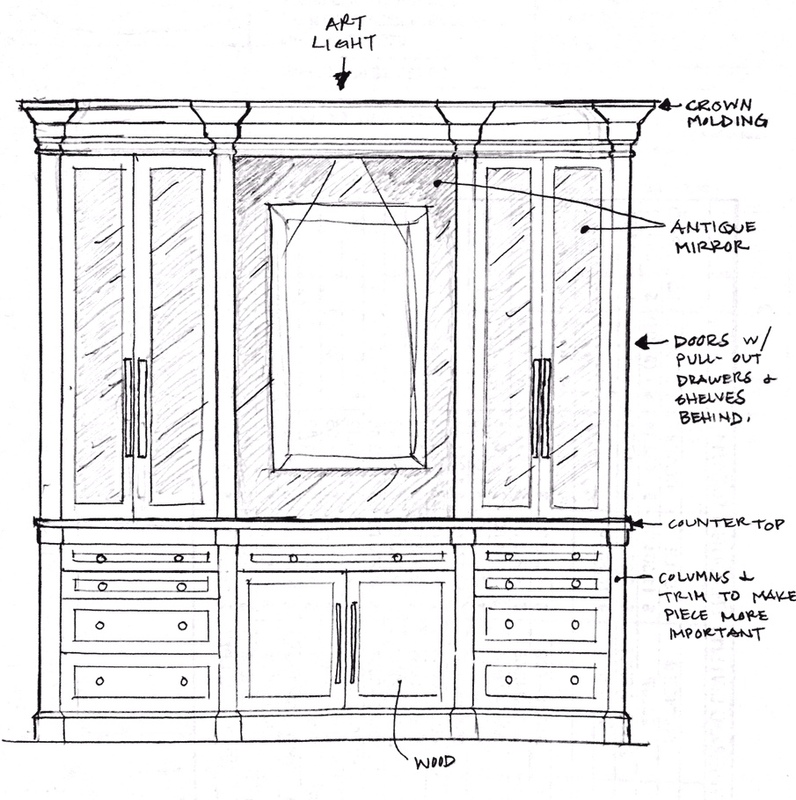 Here is my concept sketch for the new custom dining casepiece, which will dress up the Dining Room! In the dining room, my clients needed a little bit more storage, so I designed this narrow buffet/hutch built-in, with beautifully stained wood, sparkling hardware, antique morrored doors, and grasscloth textured accent in the middle. I wanted this piece to look like a transitional piece of furniture (not like an extension of the kitchen). This helps to define the space and keep things from being too matchy. Pewter and blue silk drapes add some warmth, softness and drama! 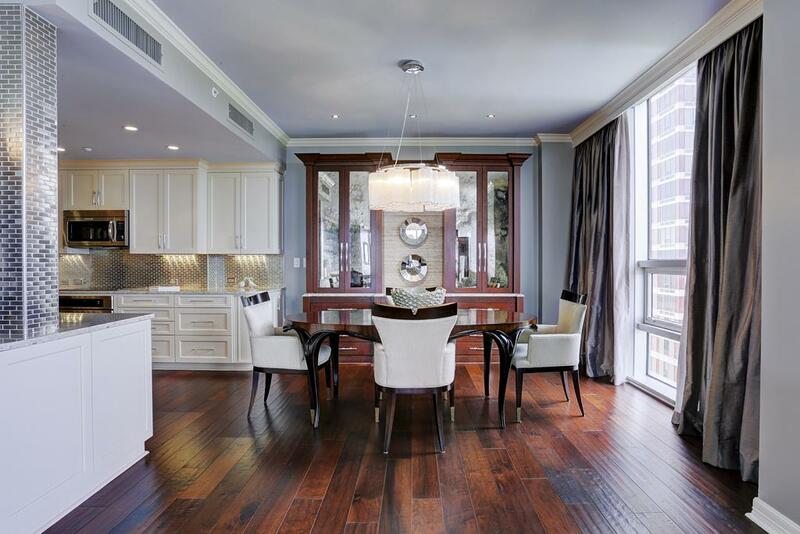 Here you can see what a dramatic difference wood floors can make, as well as a bit of color on the ceiling! In this case, I chose a gray paint for the walls, and a slightly bluish gray for the ceiling. 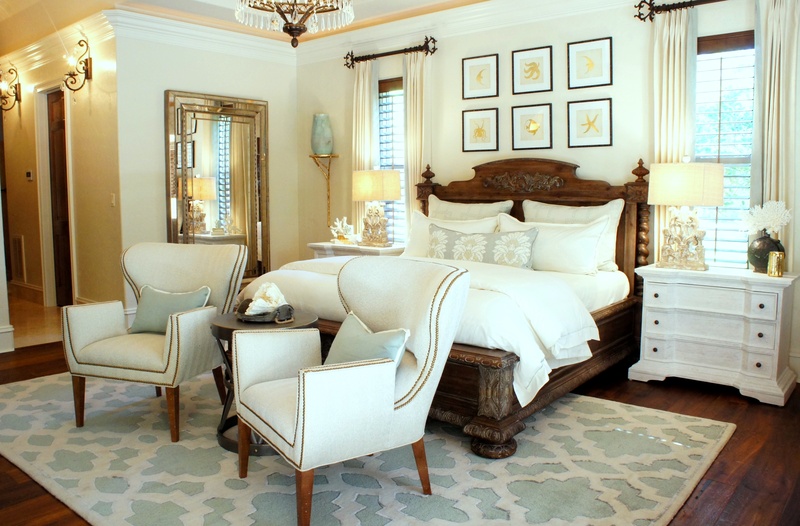 The color scheme is a mixture of rich cream, gray, and powder blue. 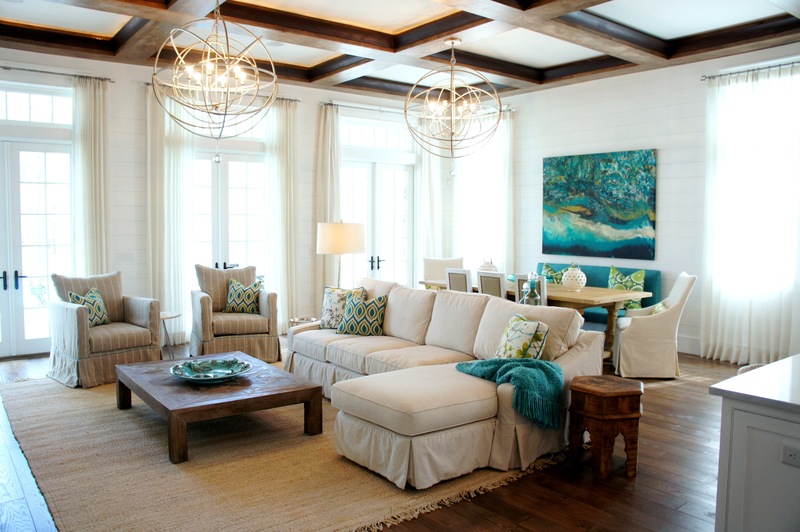 Above the sofa is a commissioned piece of art painted by the Emerald Coast’s Allison Wickey. You can see how I mixed her traditional fauteuil chairs with some more modern upholstery, and recovered the chairs in a clean, masculine gray, with blue fabric in the outbacks. Bye, bye, generic doors and sad floors! 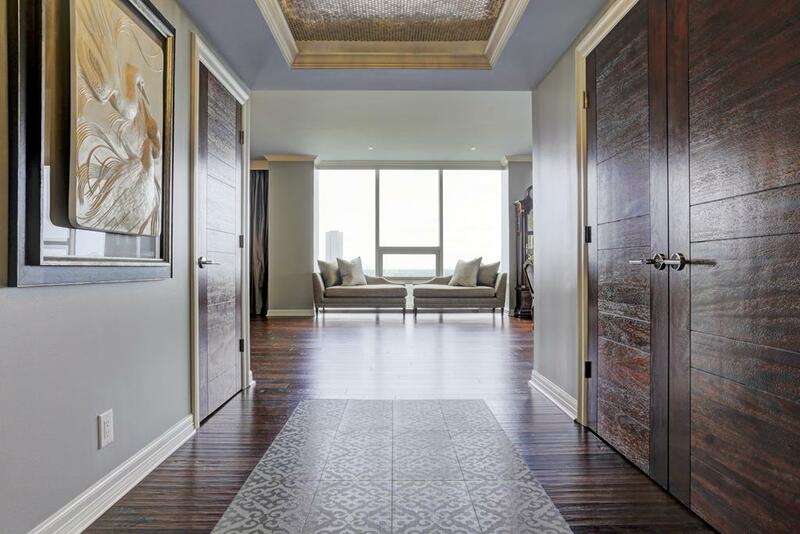 Hello, beautiful wood panel doors and custom tile “carpet” design. I created the most durable, inviting entry rug “look” out of this beautiful gray damask inset tile. It mirrored the new custom recessed tray with cove lighting that I designed to give the entry some “wow” factor. 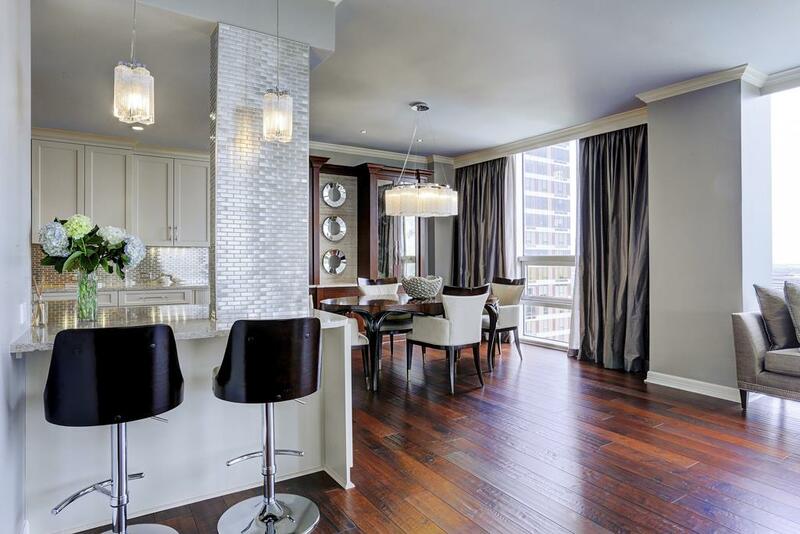 Not seen in the photos is a drop-dead gorgeous rectangular crystal chandelier—decadent, yet still modern. The stainless penny rounds I installed in the recessed tray reflect the crystal lighting and twinkle, like stars! 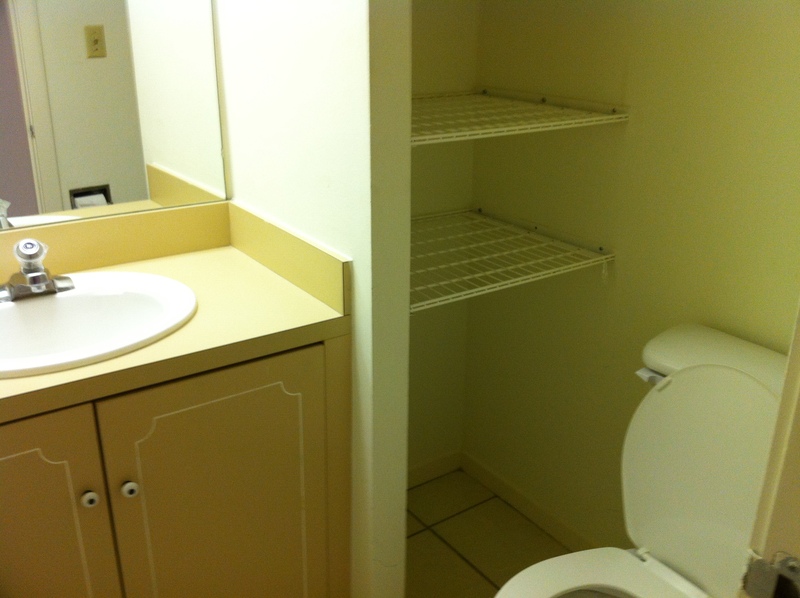 We removed the wall, which was creating a small linen closet, and expanded the bath vanity. I aimed for all white in here, to maximize the brightness. 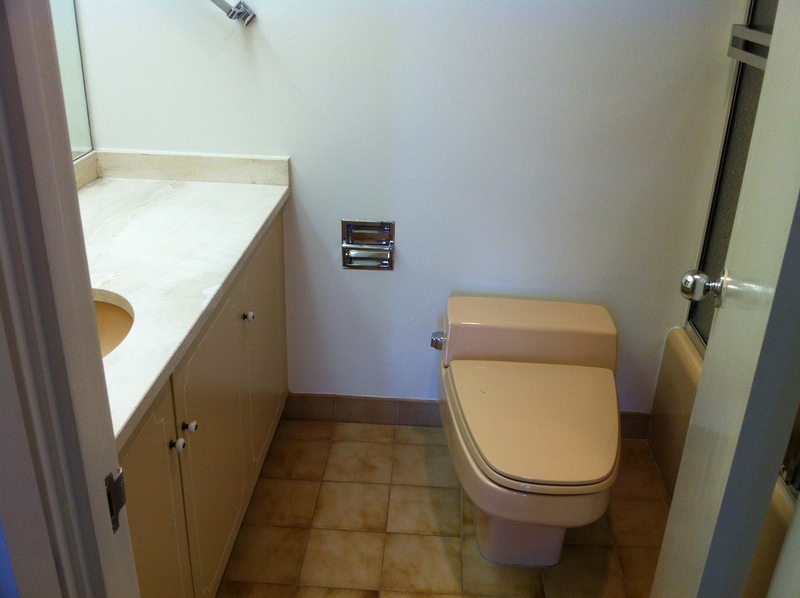 The asymmetry of the cabinet works well, with the waterfalling counter top and opening adjacent to the toilet, to prevent any cramped feelings. 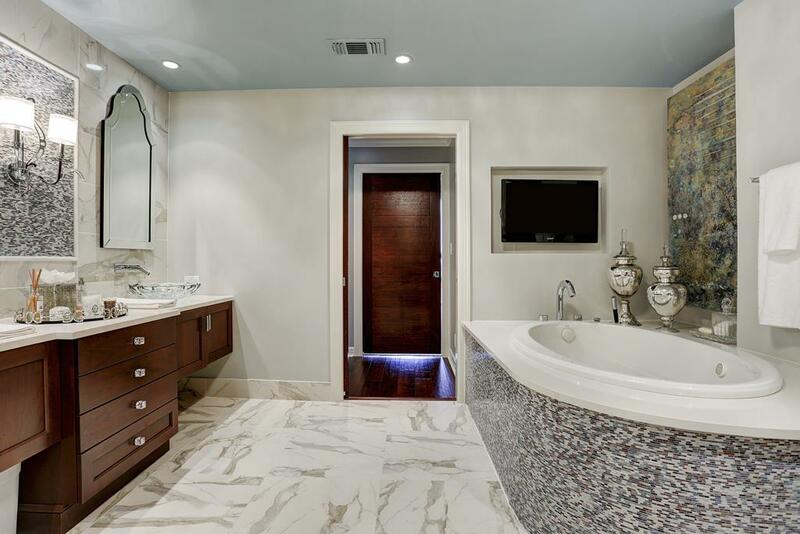 Some unique tile application, a horizon band mirror, and some effective lighting give this bathroom the right finishing touches. 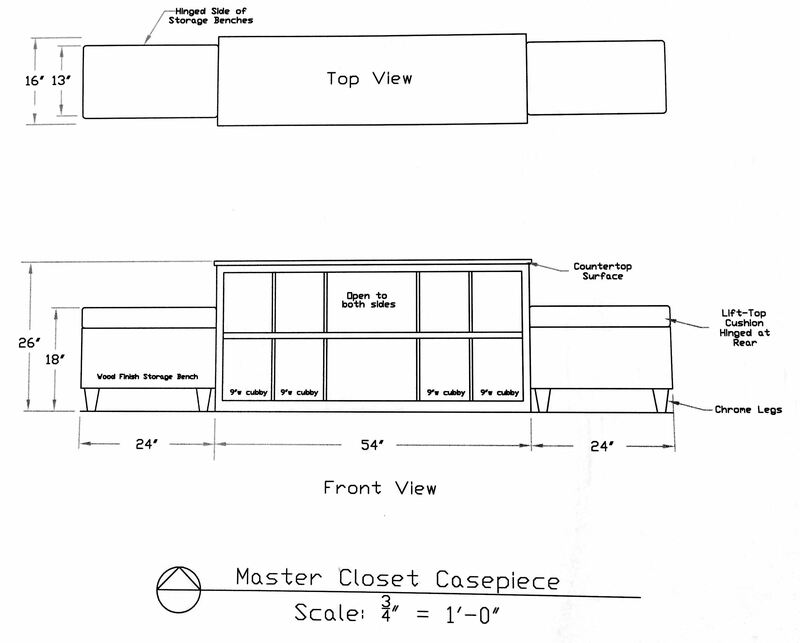 Master Bathroom concept drawing: (we created a new closet elsewhere in the condo, and created a makeup vanity, with open shower design instead. 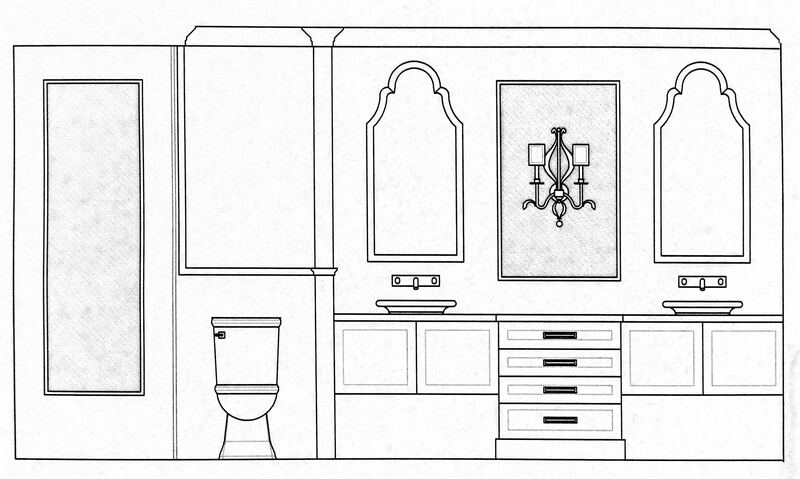 The Master Bathroom nearly tripled its size!! Not just in square footage, but also visual lightness! 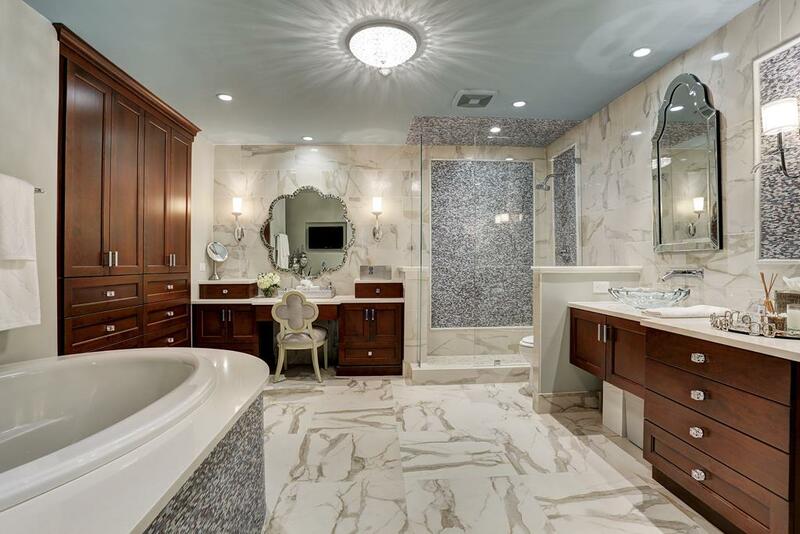 I chose a porcelain Carrera marble (beautiful and white, but without the porous stainability and upkeep of real marble) for the main floor and wall tile. 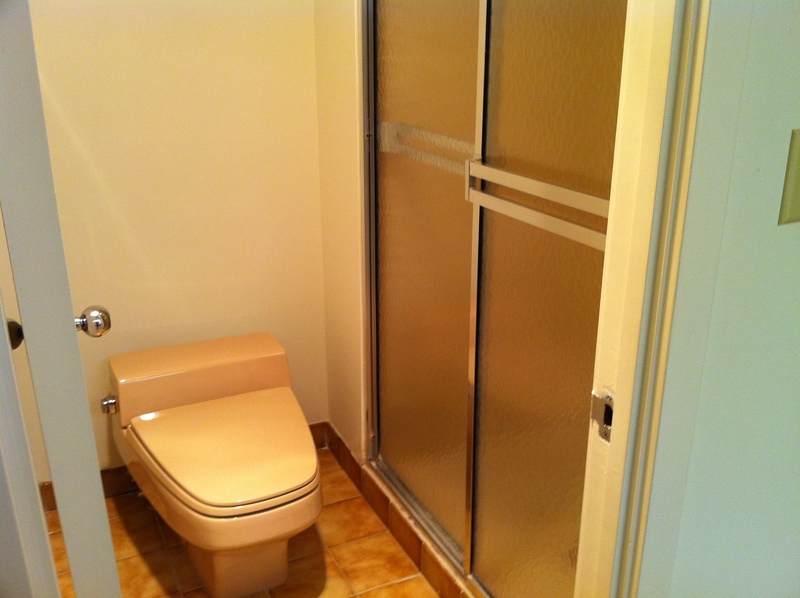 I accented with a blue art glass mini-mosaic tile, and added transitional rectangular panels in the shower area. 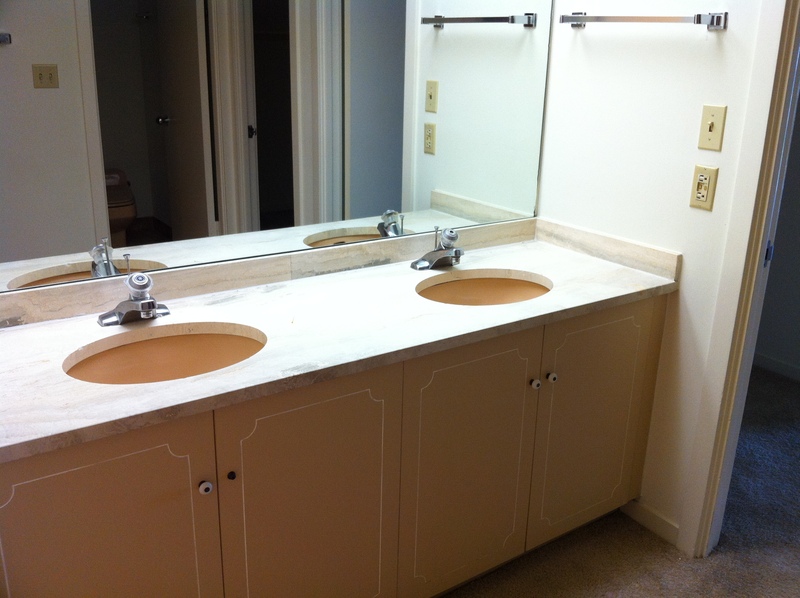 Master Bath After: We created a beautiful, open and functional double vanity, with ample lighting. We also added a brand new oval tub, with curved tub deck. 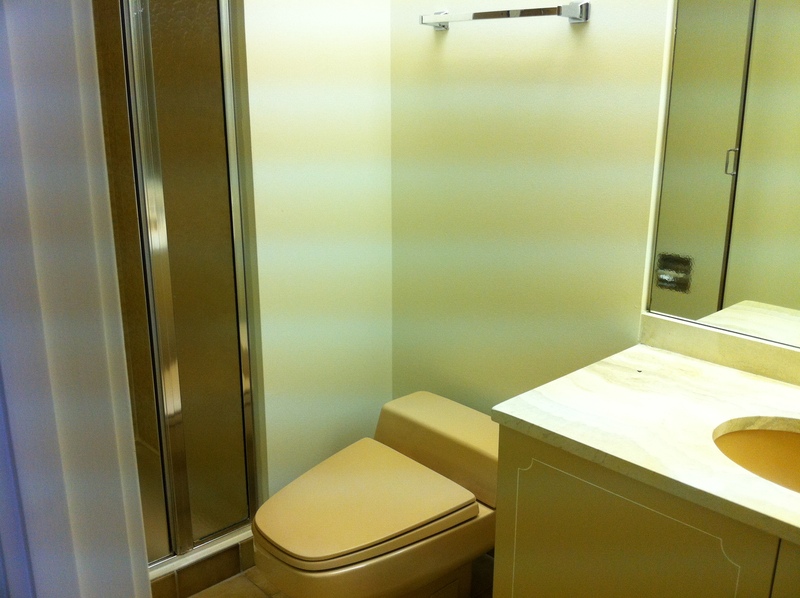 HIS Bathroom AFTER: Whoa, what a difference, right?? Clean lines, masculine, bright, functional. 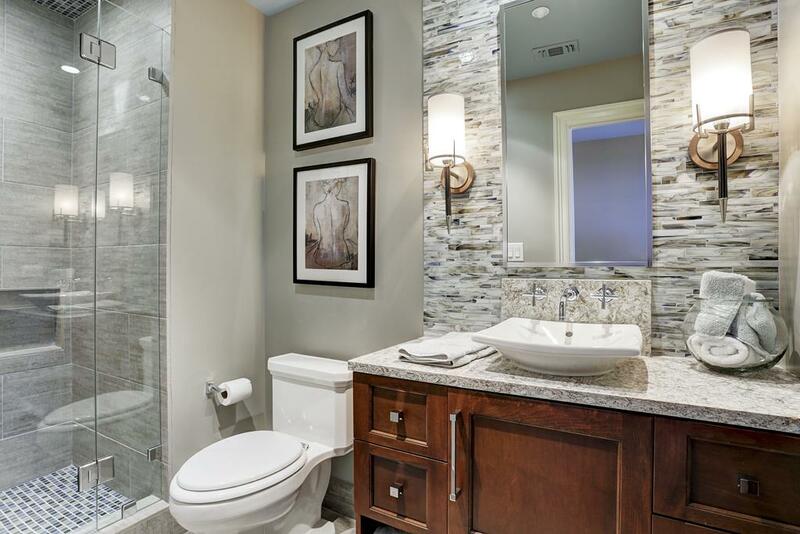 The electric mirror provided beautiful bright light, which reflected off of the glass tiles on the backsplash. 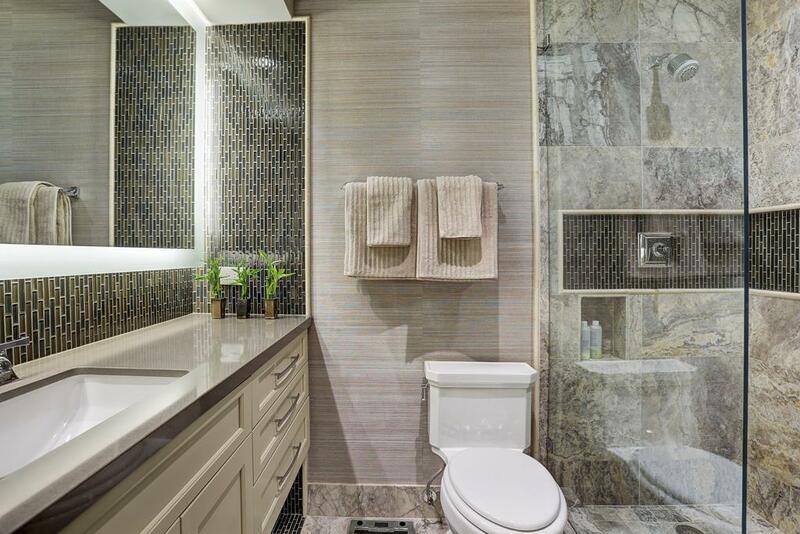 textured grasscloth stand up to the warm colors and finishes in this bath. 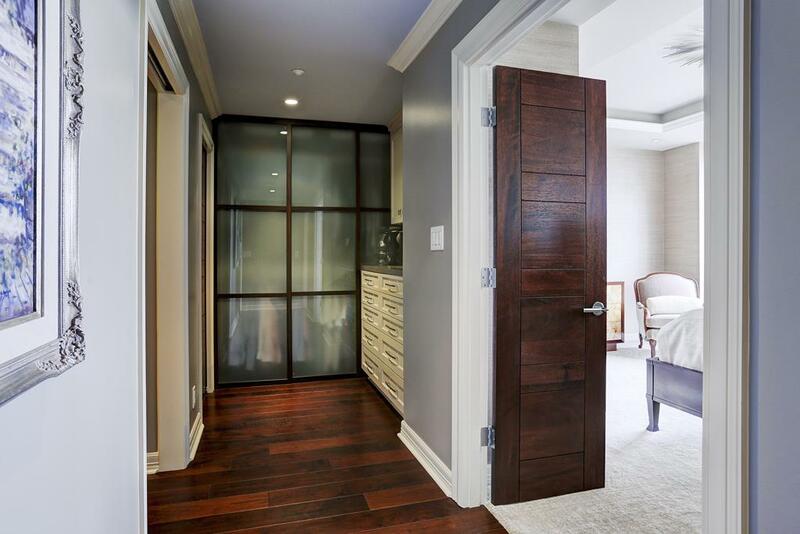 HIS closet AFTER: Look at these gorgeous frosted glass sliding doors! They dress the closet up, keep the room feeling open, and look totally handsome and rich! 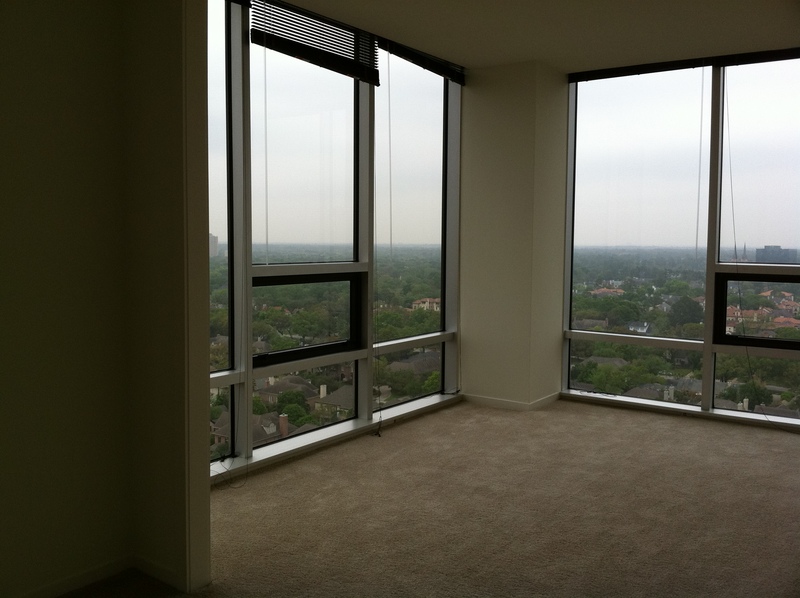 I hope you enjoyed your walk through this Houston remodel, as much as I enjoyed designing it! Welcome to a super fun project I had the privilege of designing in 2013! 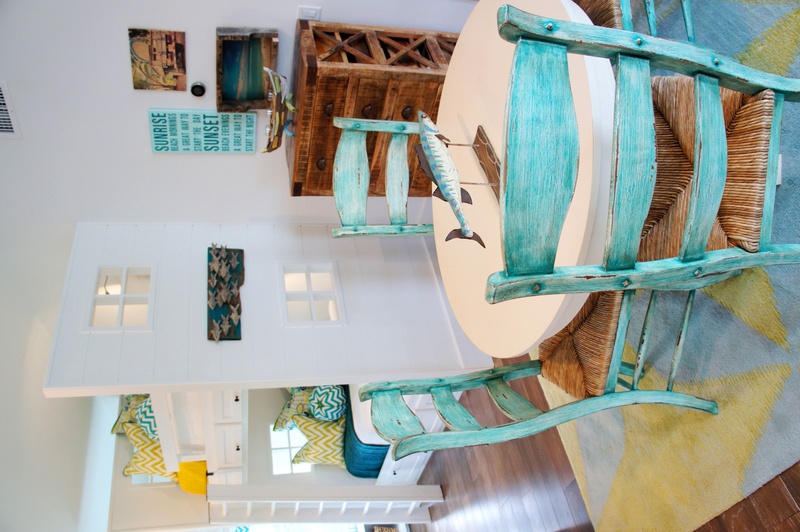 These clients wanted something bright, colorful and boldly, but tastefully, coastal. 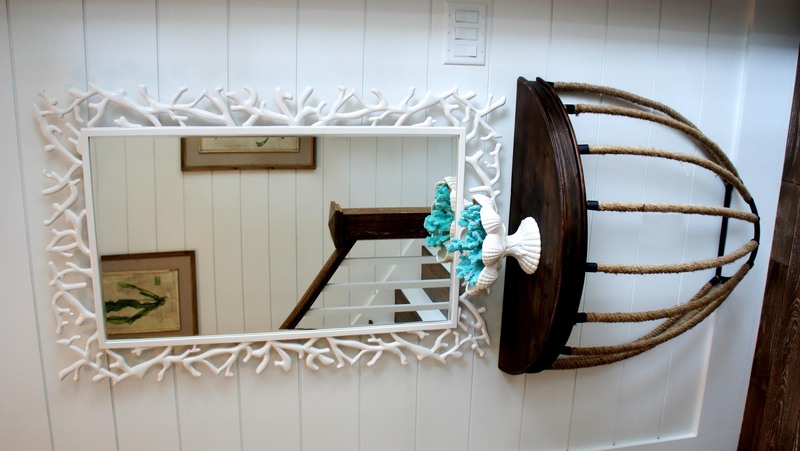 Floating rope console and coral mirror set the tone for the rest of the house: Casual, whimsical, bright and fun. 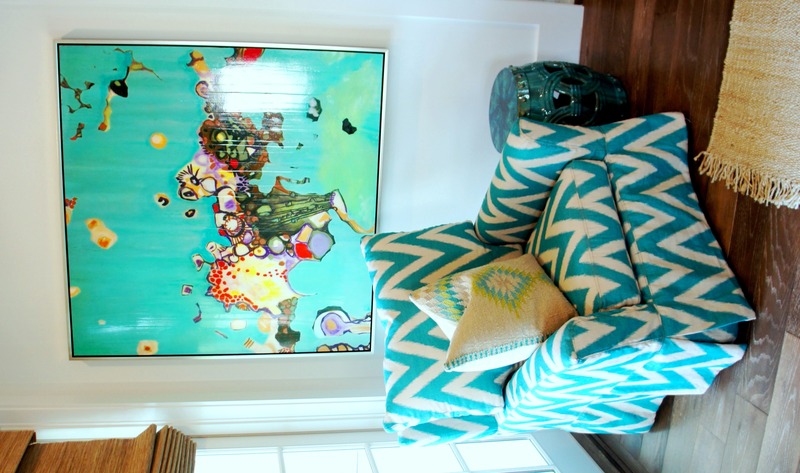 The living room is mostly subdued, with bold color appearing through art and pillows. Long ethereal drapes soften the wood walls, and emphasize the height of the room. 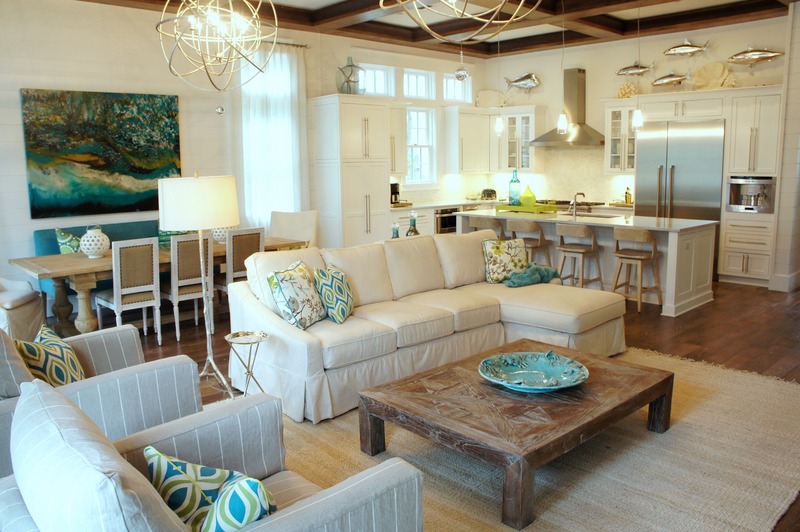 The sofa and swivel chairs are slipcovered in washable linens, perfect for salty bodies, and sticky fingers! The large square wood cocktail table is virtually indestructible–ready for toy banging and foot propping! Comfort and livability were important considerations. The dining wall was prime real estate for some large, impactful color! I liked the idea of having a variety of chairs, so I paired a turquoise settee with some French burlap chairs, and some slipcovered host & hostess chairs. This amazing table is solid bleached pine! Incredibly beautiful, and incredibly heavy, and perfect for this beach family. Kitchen: This all-white kitchen begged for little, but texture, some whimsy and a few touches of color! 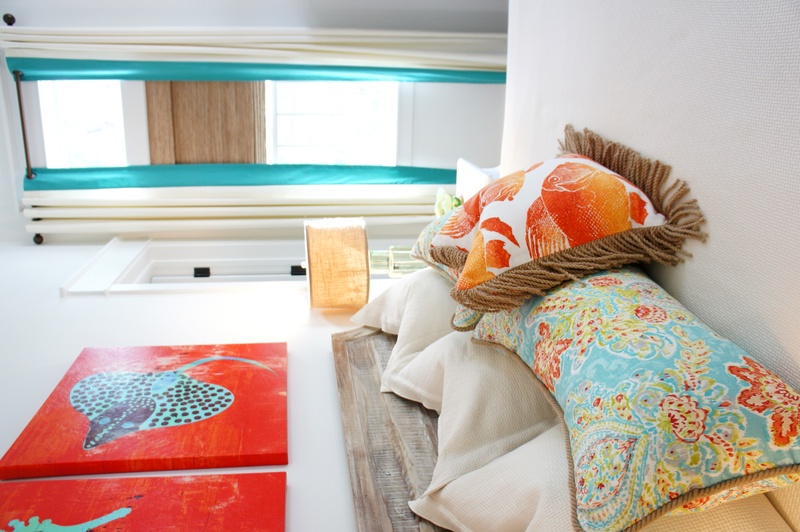 First Floor Bedroom: We brought in glorious orange to complement the turquoise in this room! Holy fish pillow! I was in love with the throw pillow I designed, with its jute bullion fringe, and large fish block print. Second Floor Guest Room: This room was centered around this modern tree print fabric! 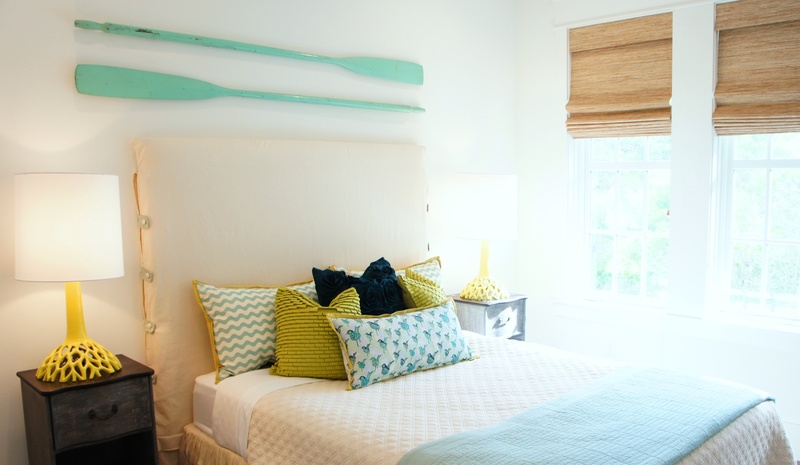 The headboard is covered in a blue Sunbrella mini-print. 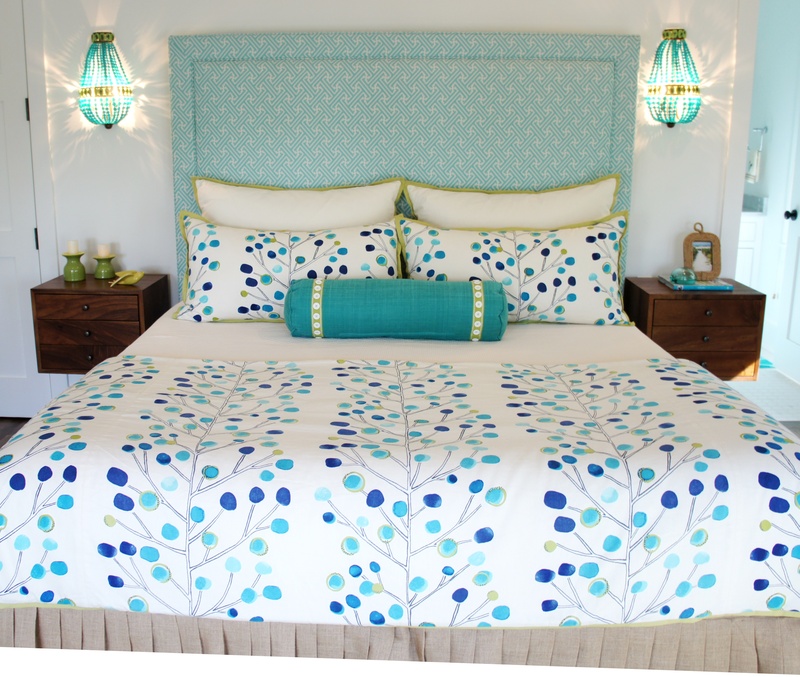 Beaded sconces free up the narrow nightstands, and mirror the blue circles in the modern tree print fabric! 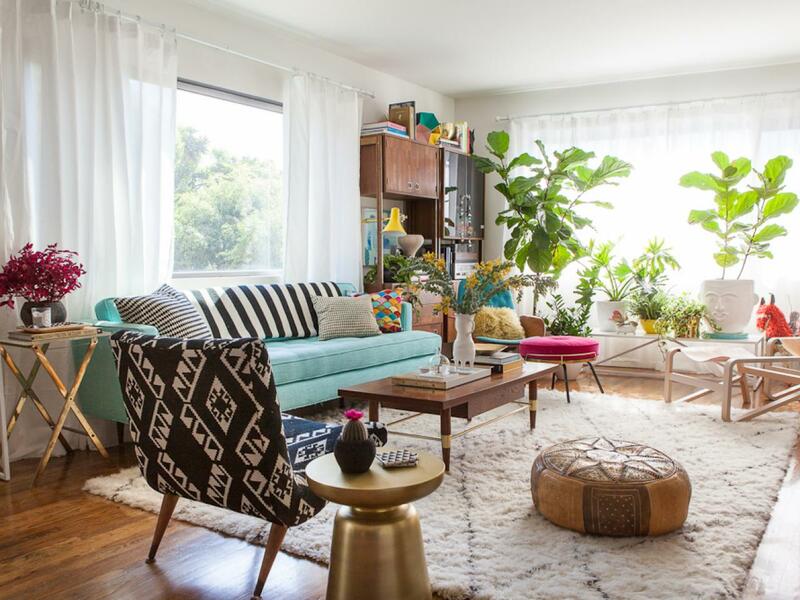 The mid-century modern casegoods bring a funky mod vibe to the room, keeping it young and fun! 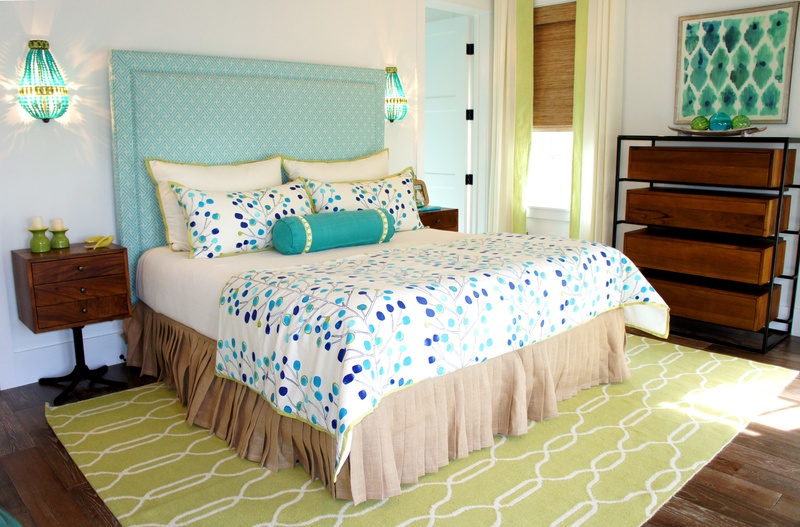 Guest Bedroom #3: This room is a mix of teal, chartreuse and minty aqua. The bird print and the waves fabrics are by Lulu DK; the felt applique pillows are by Surya. Cute eclectic mix of colors, textures and pattern! 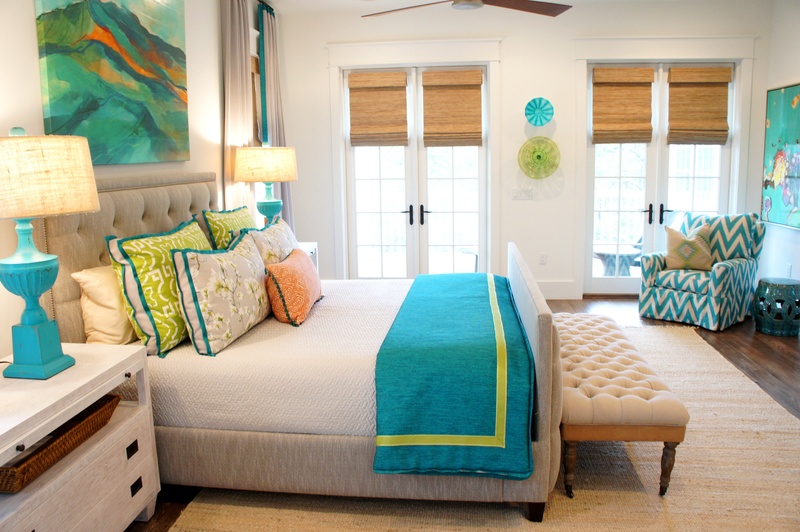 The Master Bedroom began with a canvas of soft gray in the bed, drapes and coverlet, and was finished with splashes of bright turquoise, lime green and orange! These clients specifically mentioned that they love chevron prints! Why not go bold, and cover a whole chair? The results are bright, fun and dynamic! I love to mix florals with geometrics when choosing fabrics. 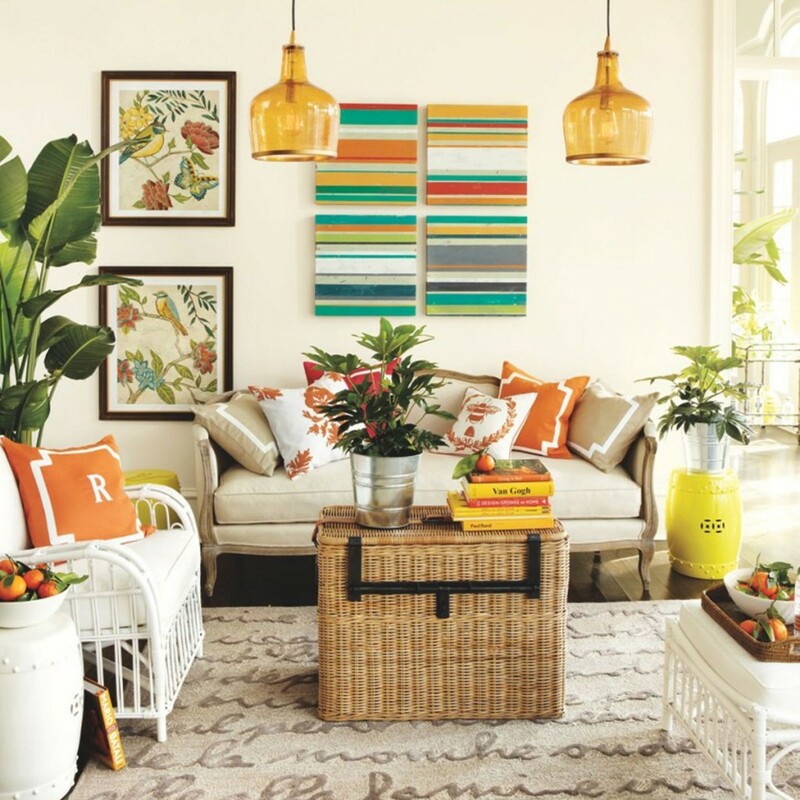 It’s always fun to throw in one unexpected color (in this case, orange) to liven things up! On the third floor, we have a loft that overlooks the pool and beach pines. In here you can watch t.v., play games around the oval reclaimed coffee table, and sit or play on the mismatched “poufs”, currently stacked in the corner. 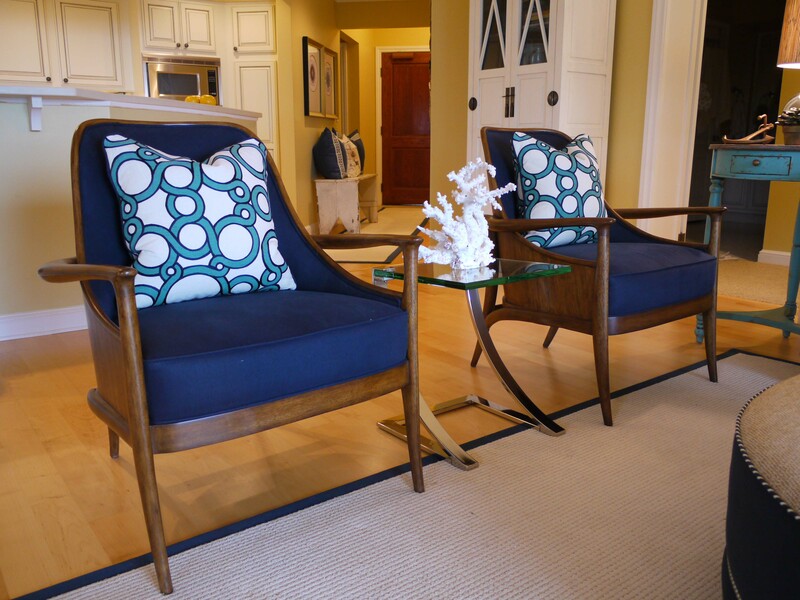 Stealing the show, are these two blue seatbelt chairs! In addition to being sculptural, unique and colorful, they are also surprisingly comfortable! 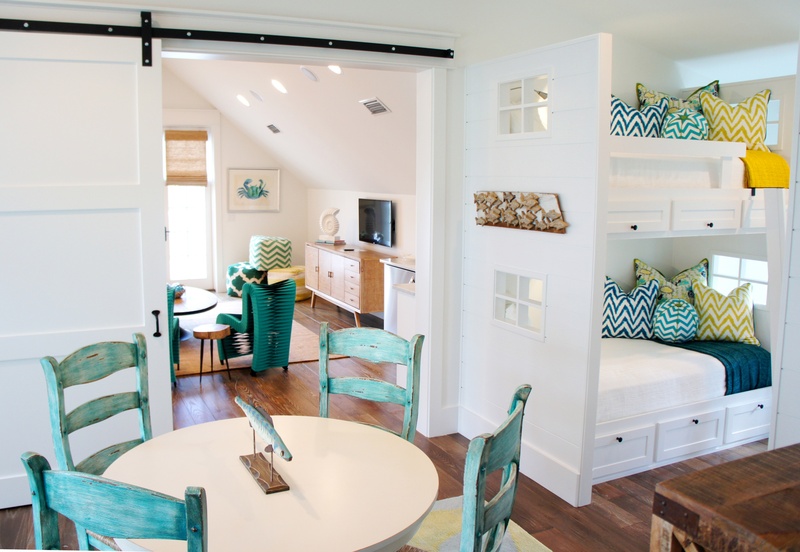 A Barn door separates the loft from the Bunk Room. For the bunk room, I chose a wide array of colorful, mismatched chevron patterns, and tied them together with one central, colorful print. 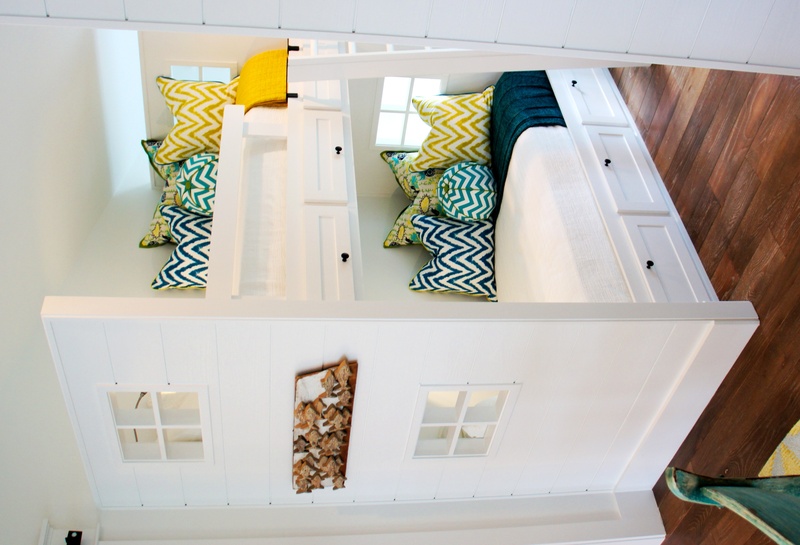 The twin-over-twin bunks offer some swing arm sconces, storage drawers on the bottom, and quaint picture framed “windows” that look out into the main room (alternately providing openness, while the wall itself is providing privacy). 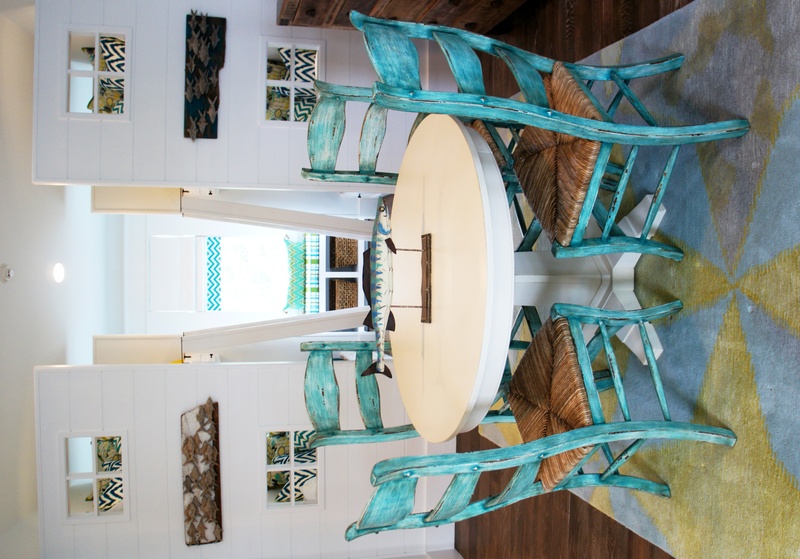 This game table and chairs is a nice place to have a snack, make art, or play games! Teal, chartreuse, lime green and turquoise! I’ve never been afraid to play with bright colors, so I was glad to have met these playful, daring clients, who were willing to go bold with me! This project was a joy to design, and I think it shows! Why do we crave the natural world? 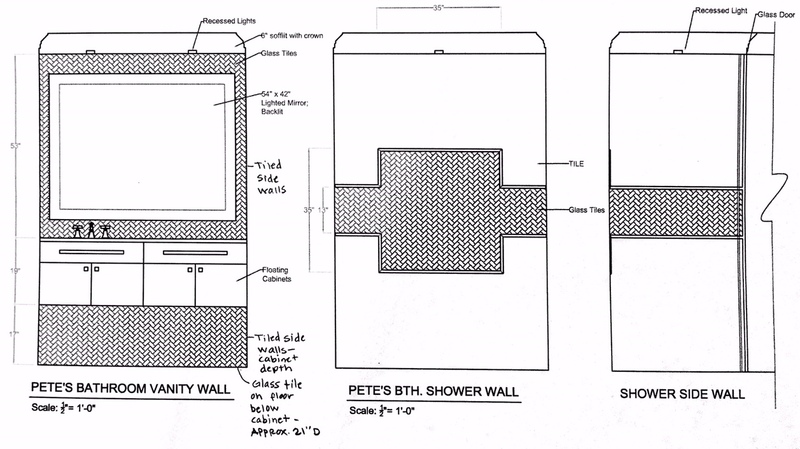 How does this relate to the way we decorate our interior environments? 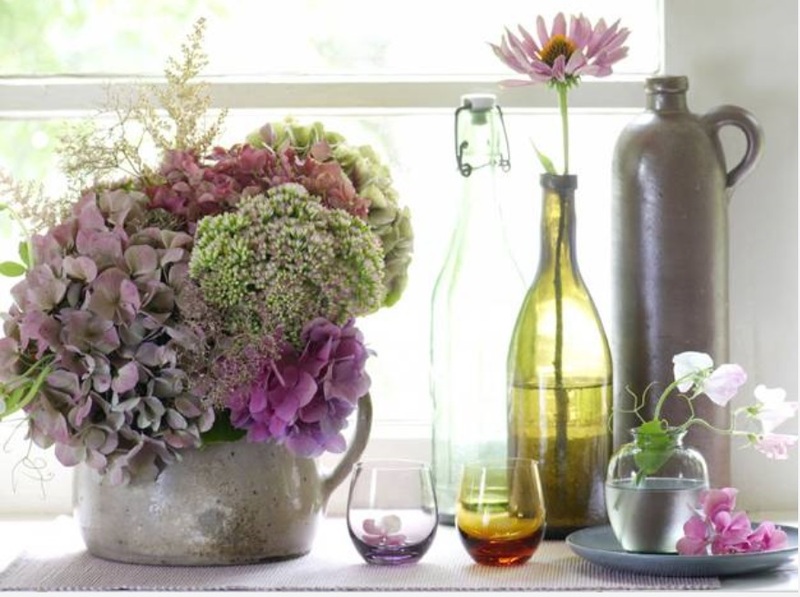 I would like to talk about the importance of incorporating plants and flowers in your living spaces. 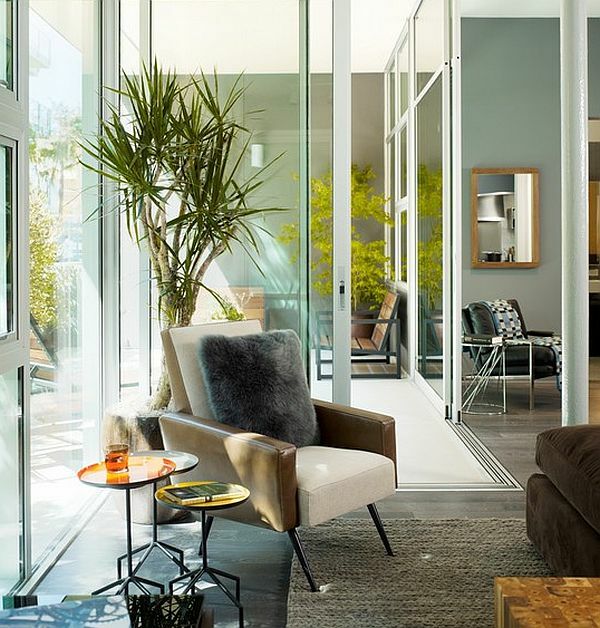 Ever notice that in almost every staged space you see in design magazines, you can always find a plant or flowers of some kind? I know that any time I finish installing a project, I never feel “finished” until I’ve added some fresh flowers, and maybe some fruit in a bowl. As a final touch, plants and flowers add so much life, happiness and love! 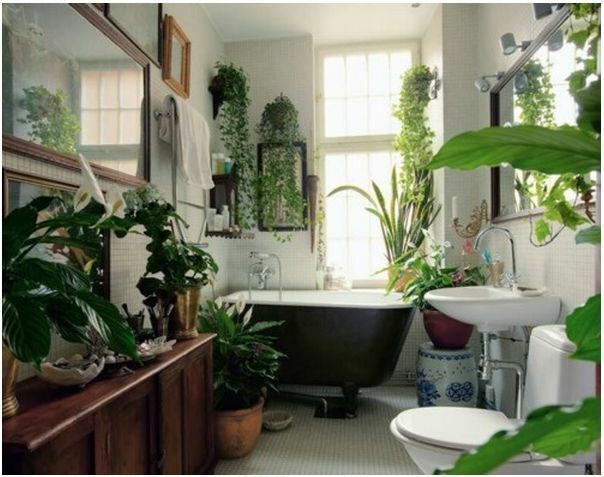 Watch what a difference the final layer of plants make in this gif from House Beautiful. 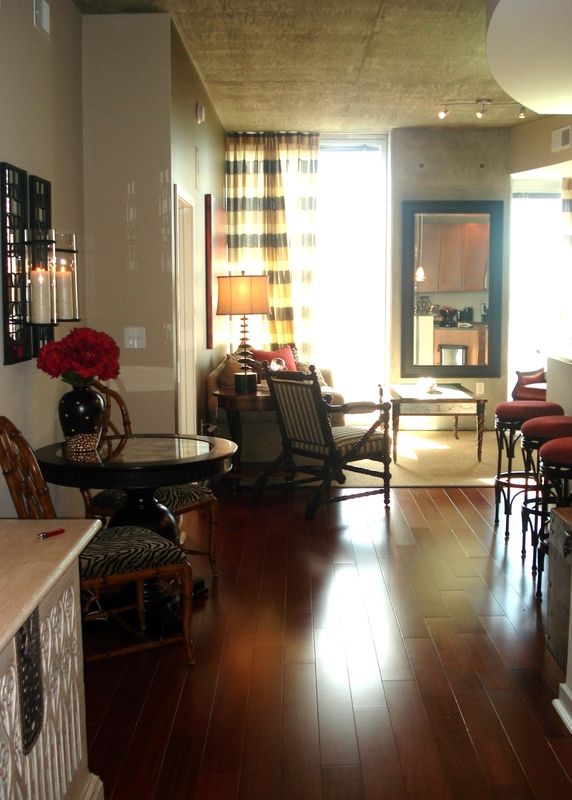 It makes the space feel more inviting and lived-in. There is some science behind this need for green. Biofilia can be defined as an innate love of that which sustains us (in this case, nature). “We evolved from the natural world…Nature provided shelter, clothing, food, light, heat and water. We have lost touch with the direct effect of nature. We no longer seek these elements from their primary sources…Yet, given the opportunity, we enjoy the sounds of nature—the soft running water, bird-song, the smell of fresh air, the feeling of earth beneath our feet, and the sunshine on our face. We need the nourishment of the living world for our health.” ~Barbara J. Huelat (2007) Healing Environments: Where’s the Proof? 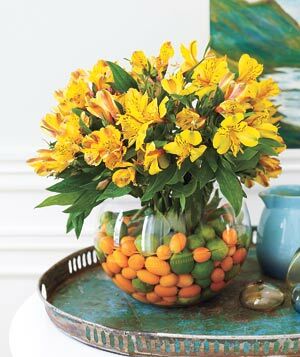 So, basically, our enjoyment of plants, and a fresh bouquet of flowers is more than just an aesthetic preference! 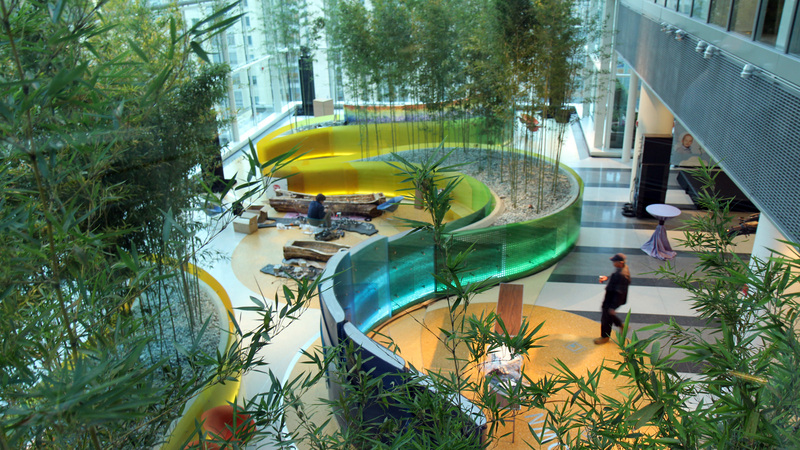 Studies have shown the healing effects of exposure to nature on hospital patients. 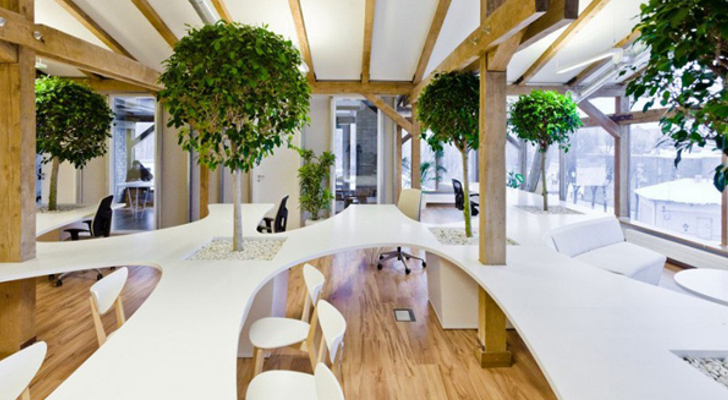 More studies have proven an increase in productivity for offices that incorporate live plants into their interior design. 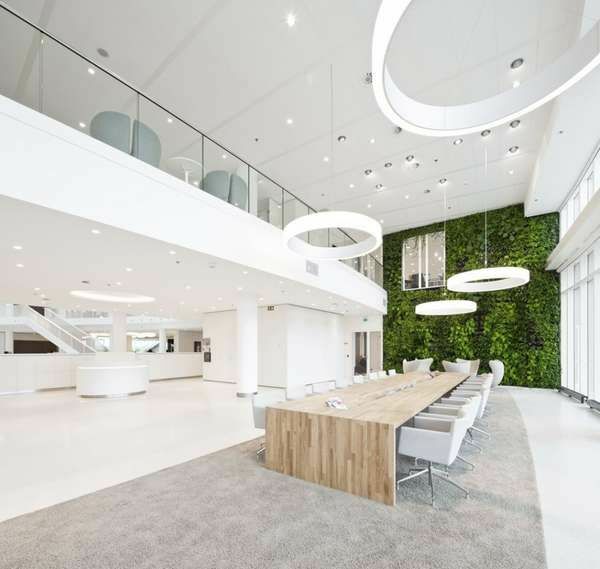 This photo shows beautiful use of a “live wall” in an office setting. 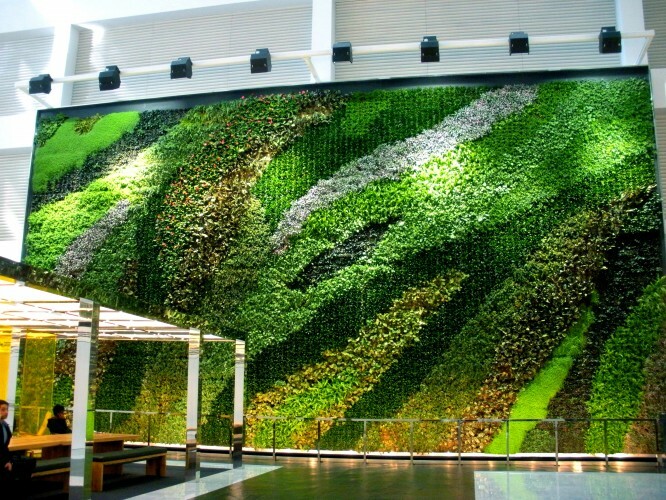 A 32’ x 60’ (1,920 sf) Interior Living Wall in a corporate atrium. This is live art! Don’t have a green thumb? Sometimes all it takes is a trip to the florist (or a walk through the forest foraging for branches and wildflowers) to lift your spirits and give your home a welcoming feeling. The last time I staged a home for photographs, I was able to bring home a huge bouquet of white hydrangeas, and I was SO HAPPY and excited! They literally made my entire week. So go ahead–feed your biofilia! Go out and treat yourself to some fresh flowers! Give interior plants a try! Good luck!